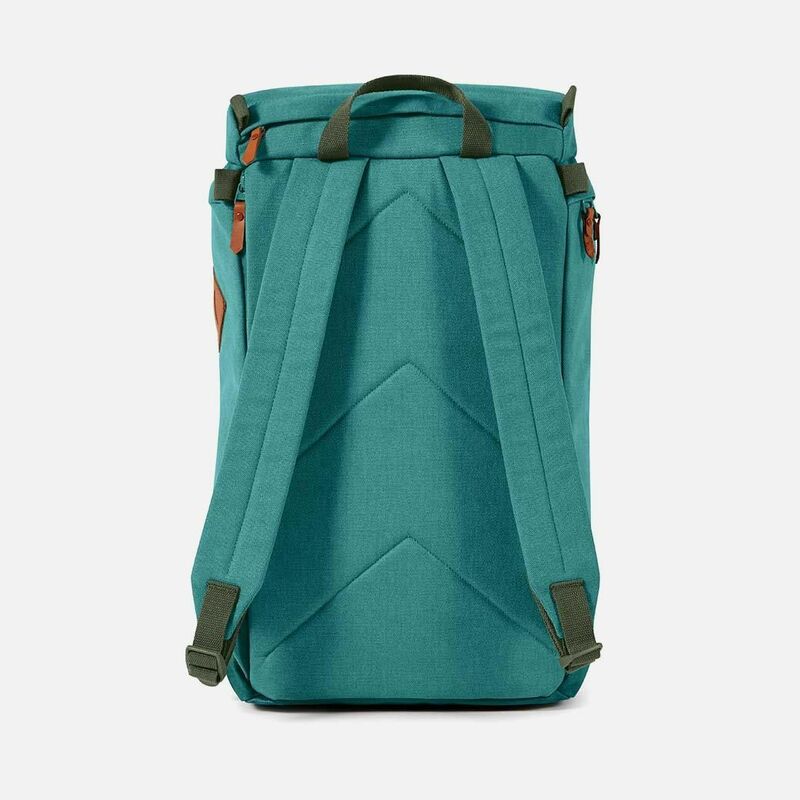 A hybrid backpack + luggage design that offers you the best of both worlds - A great carrying system, a detachable day bag and tough construction with 70 litres of volume in total. A women's specific hybrid backpack + luggage design that offers you the best of both worlds - A great carrying system, a detachable day bag and tough construction with 65 litres of volume in total. 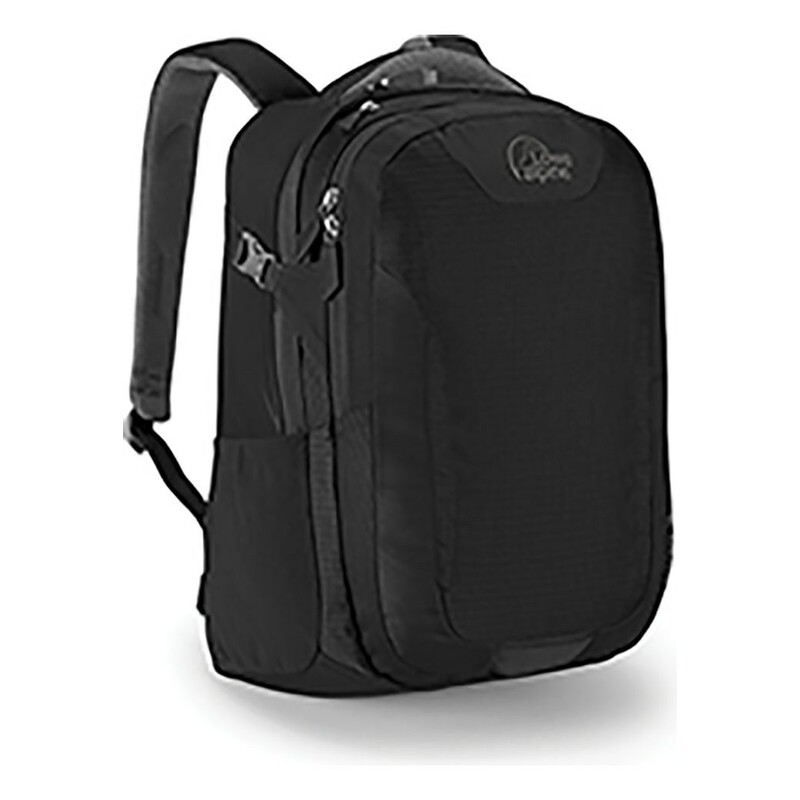 Carry it like a backpack or sling it over your shoulder like a messenger bag. 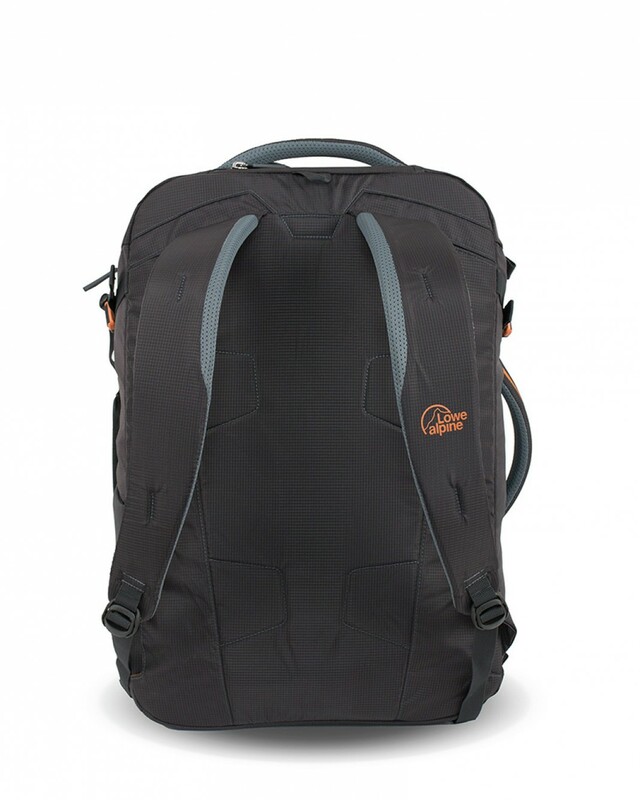 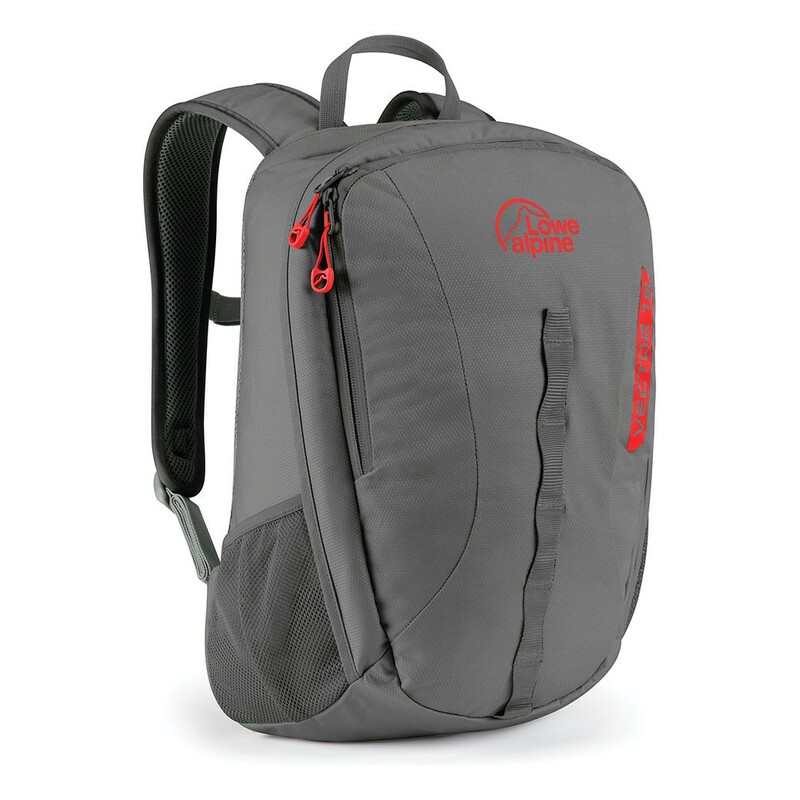 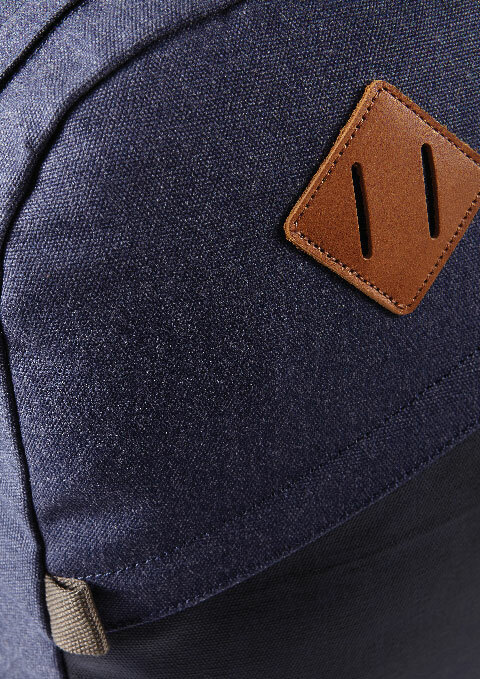 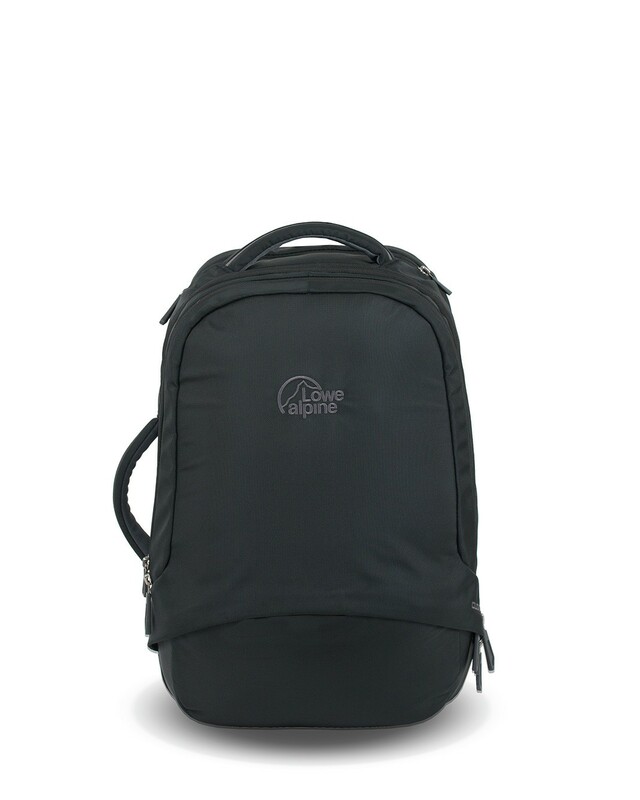 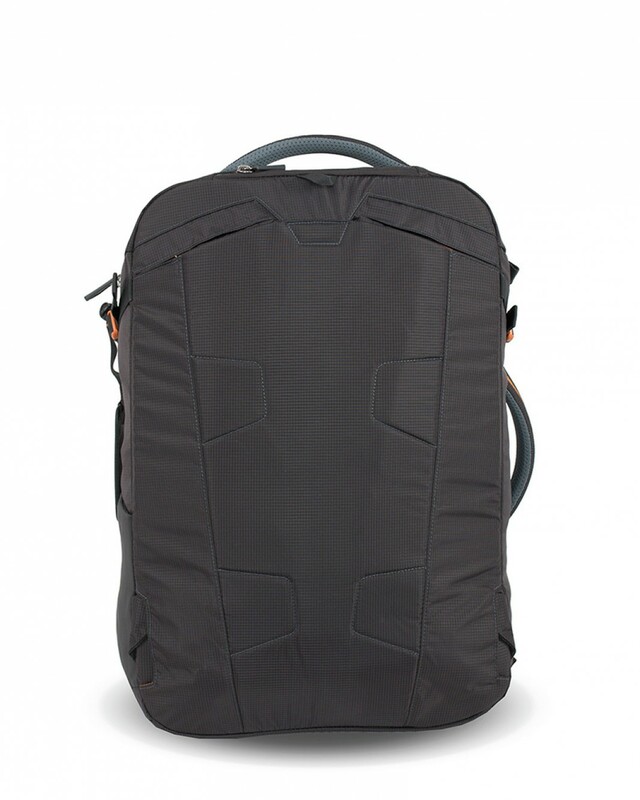 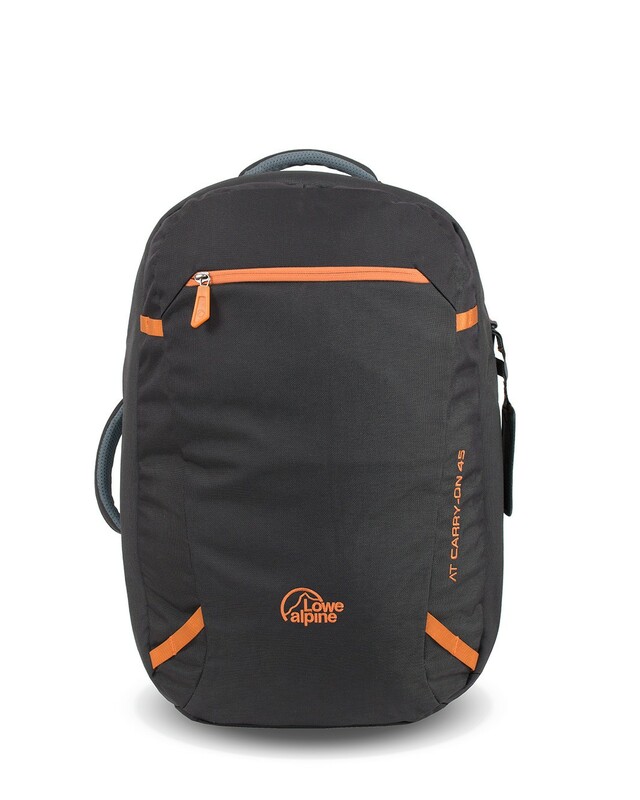 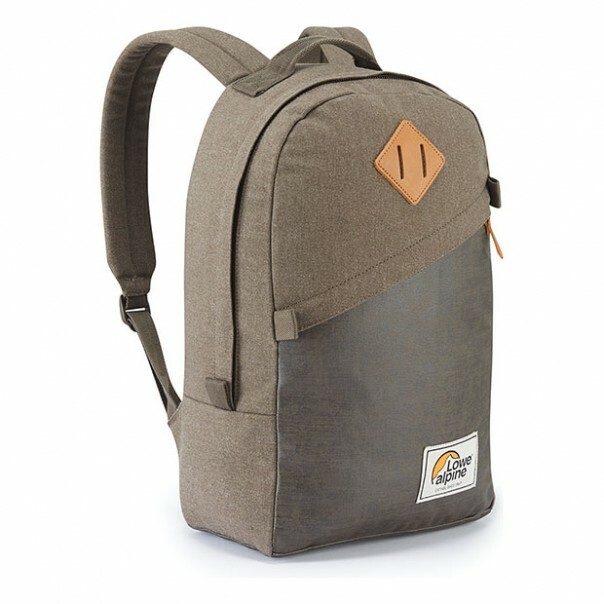 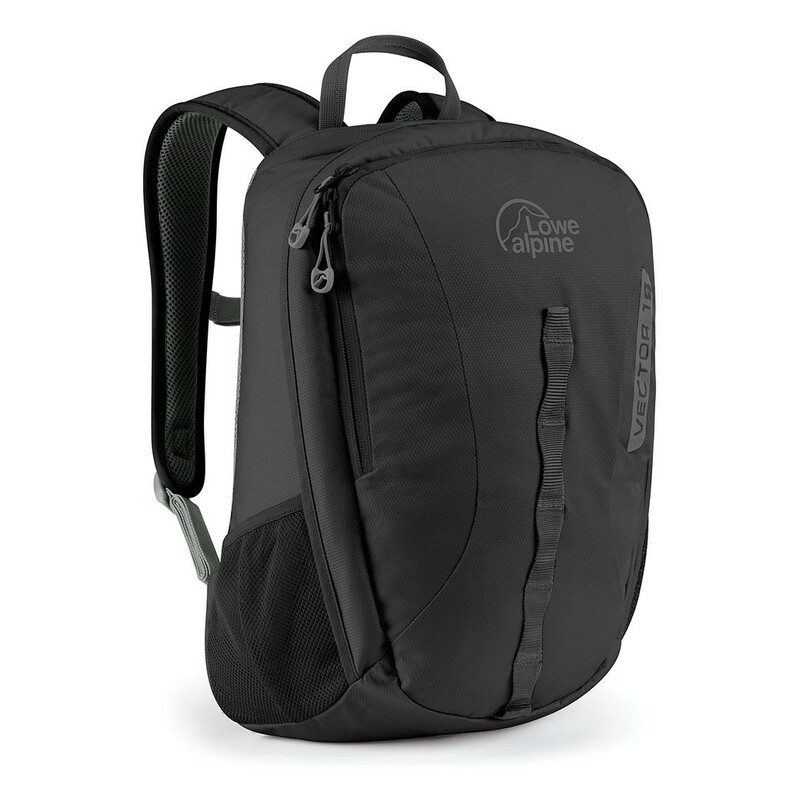 This pack offers lots of space, tough fabric, a laptop sleeve and a valuables pocket. 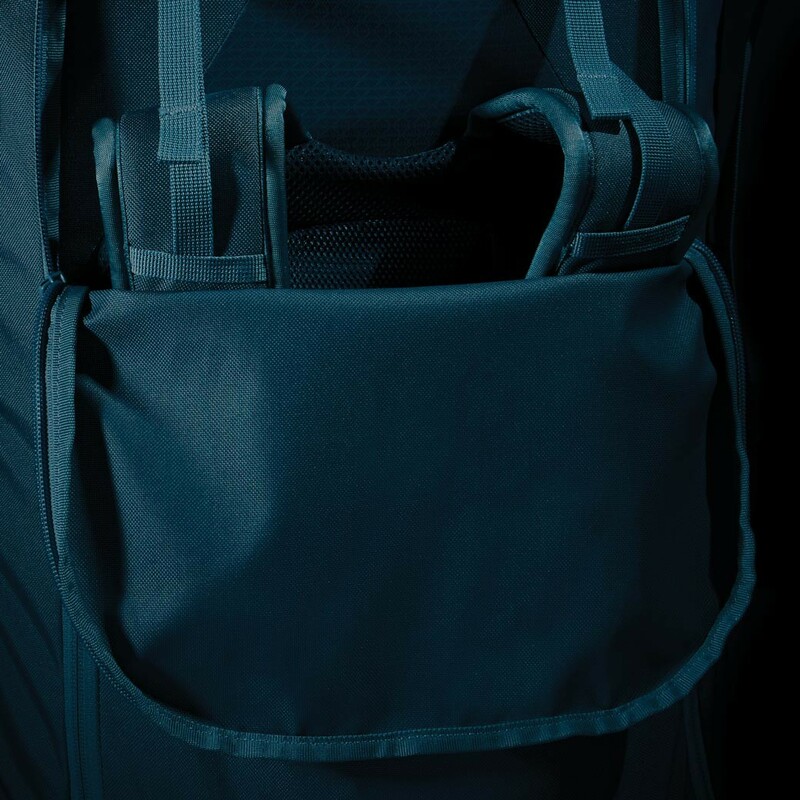 The AT Carry-On 45 is a durable travel bag featuring bombproof technical fabrics and tamperproof zips. 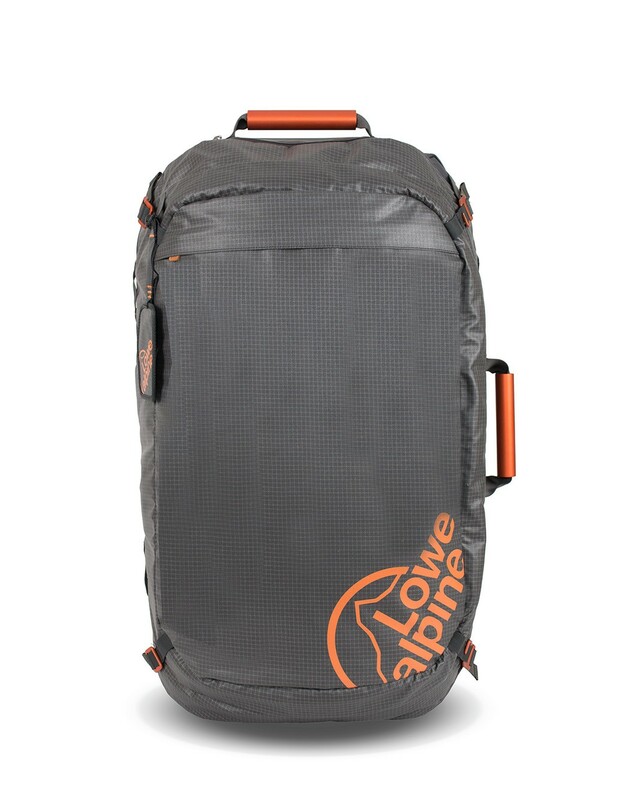 Sized to fit airline regulations, the AT Carry-On is ideal for lightweight travel. 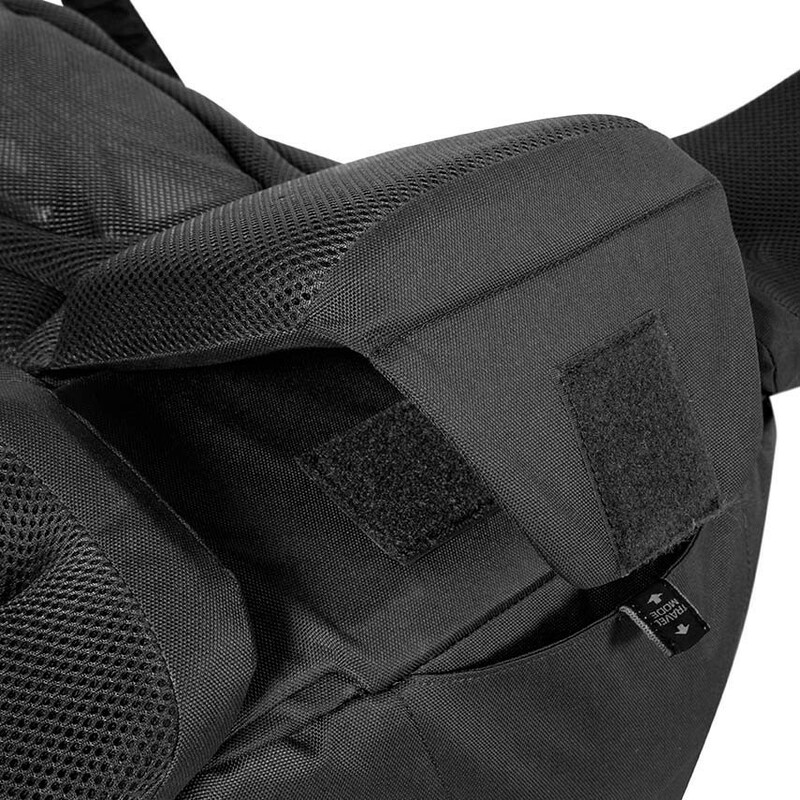 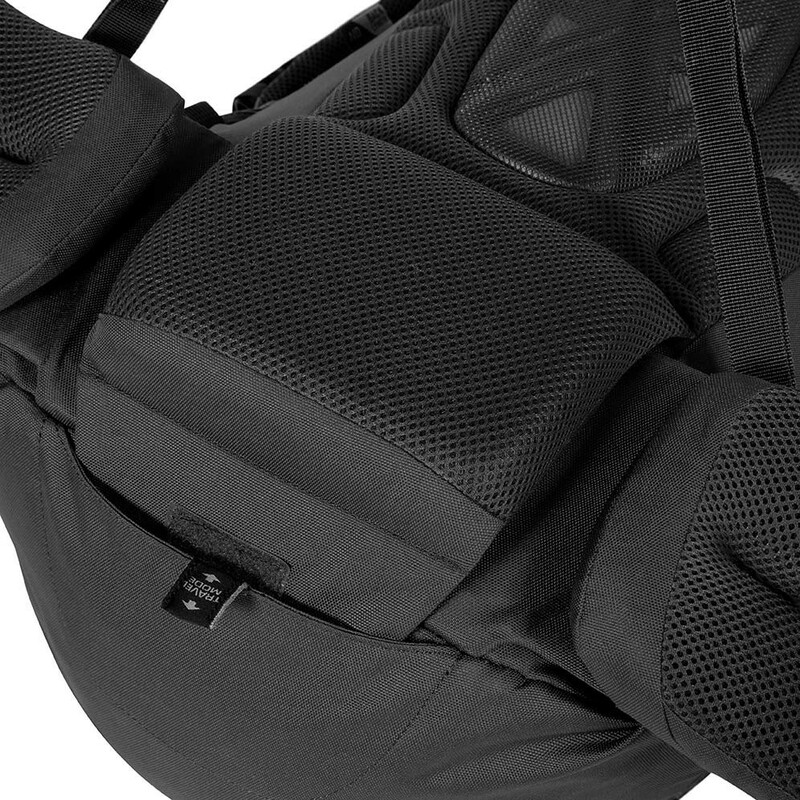 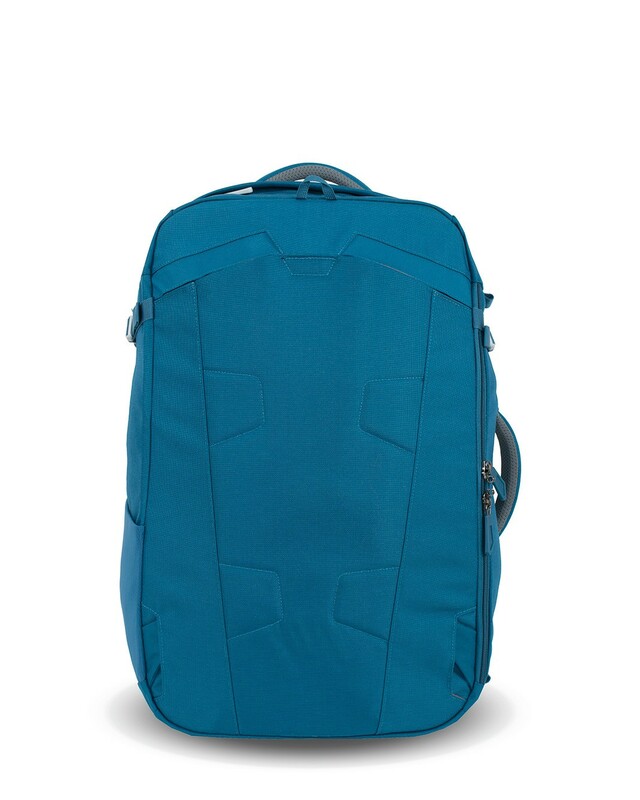 Lightweight carry on luggage that you can carry as a messenger or a backpack. 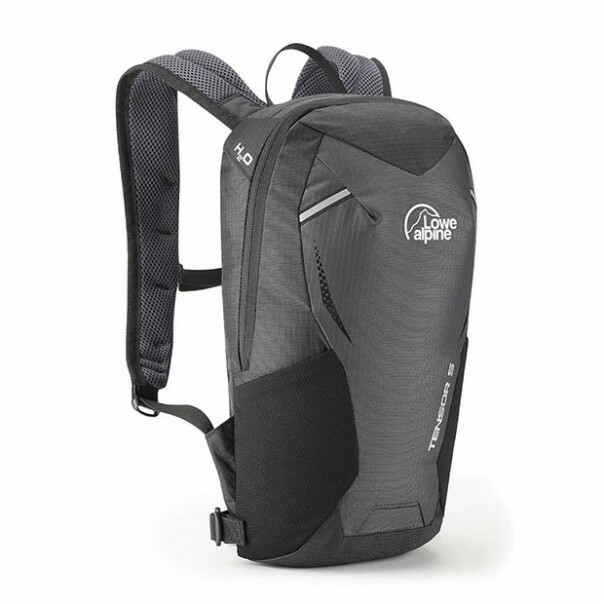 Offers a great capacity to weight ratio, internal compression and tamperproof zips. 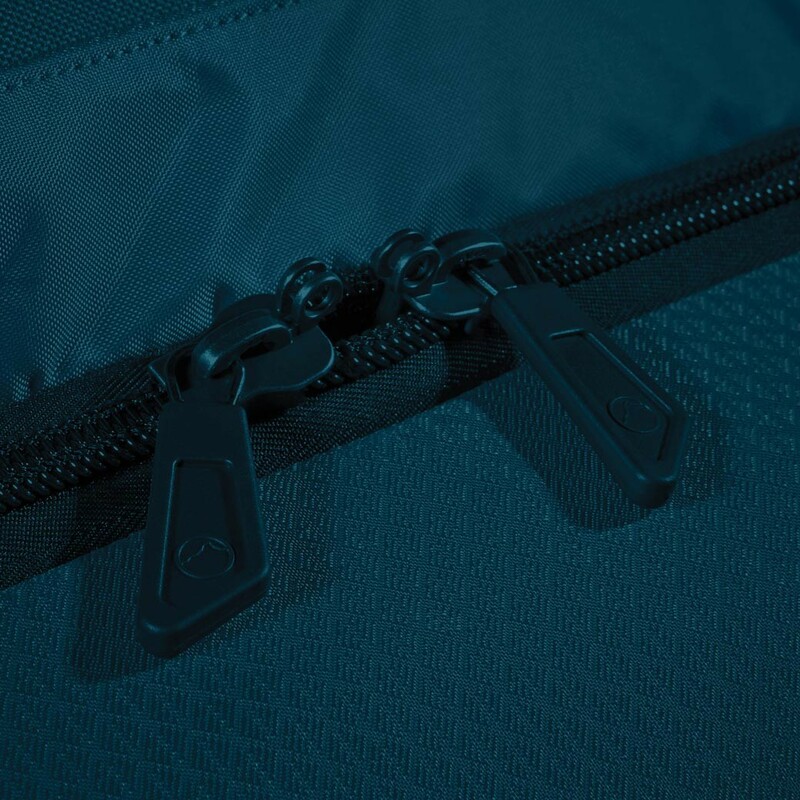 Our duffels are simple, tough and constructed using minimal seams and durable, abrasion resistant fabrics. Fill it with expedition gear and trust it won't let you down. 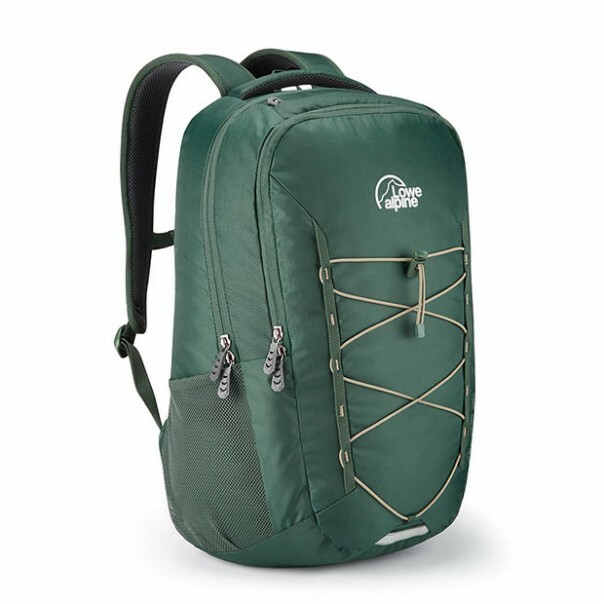 60 years ago Ralph Lowe took his young sons Jeff, Greg and Mike to climb The Grand Teton in Wyoming, USA. 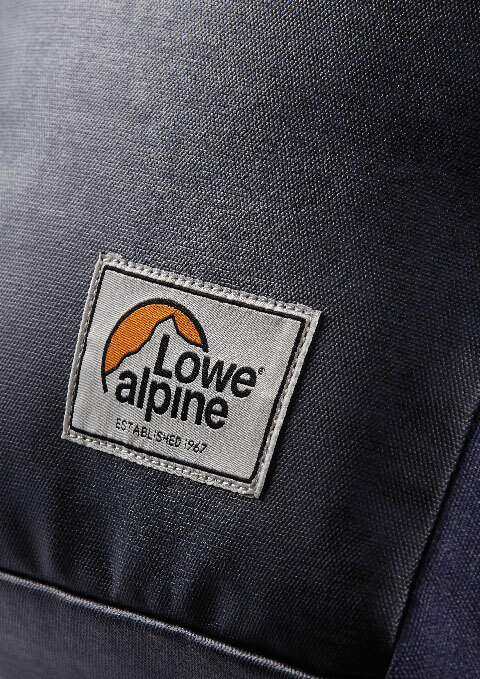 That single adventure started a chain of events that led to the formation of the Lowe Alpine brand, the Teton range celebrates that heritage. 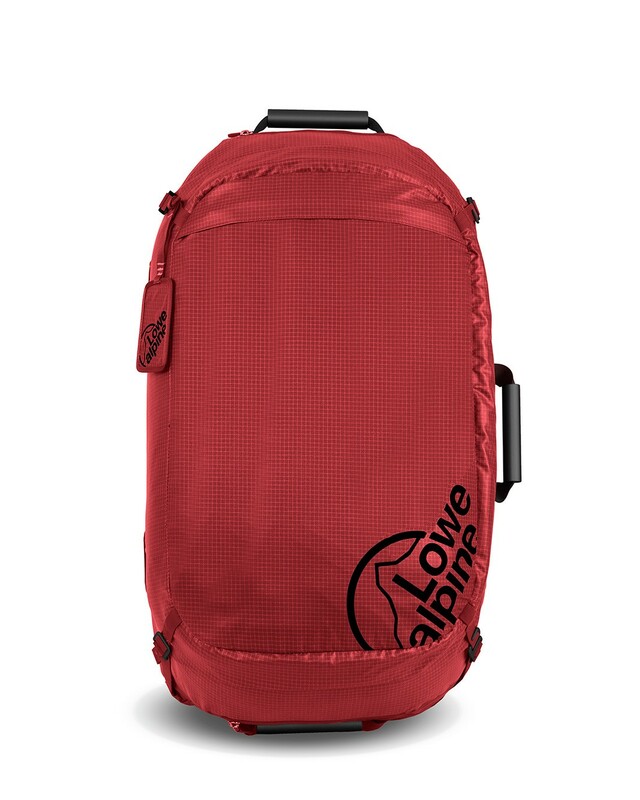 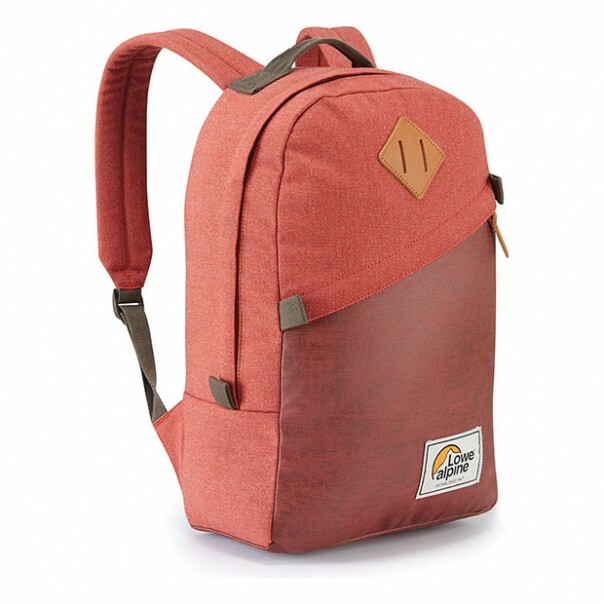 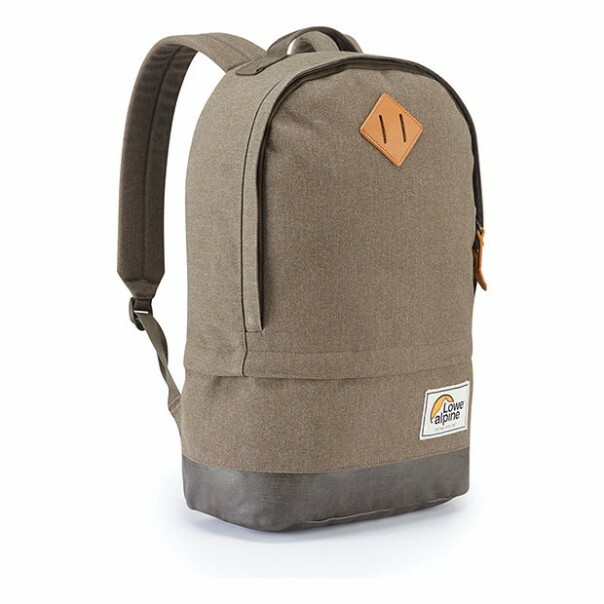 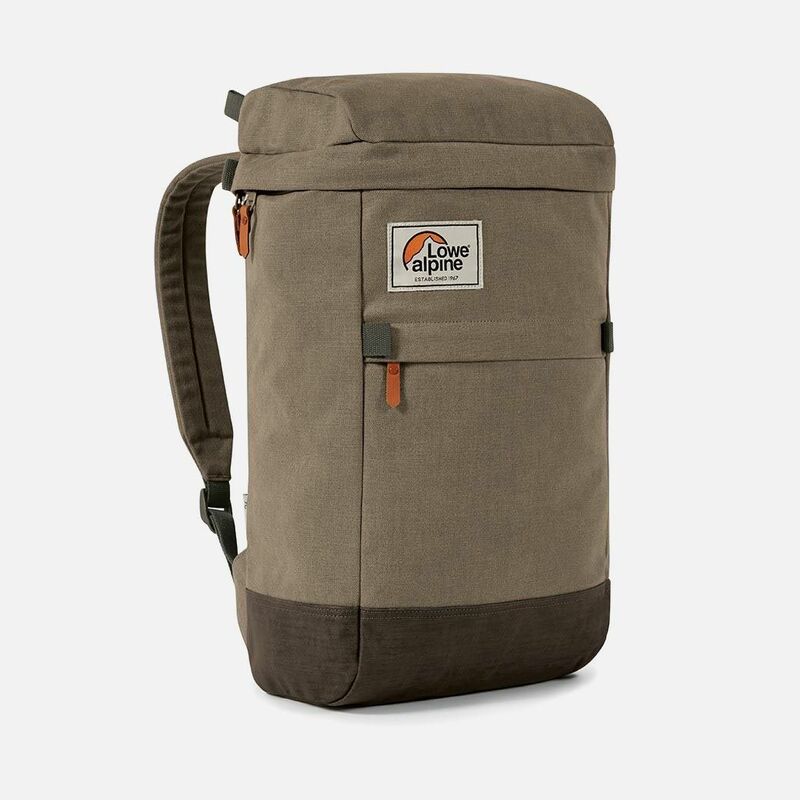 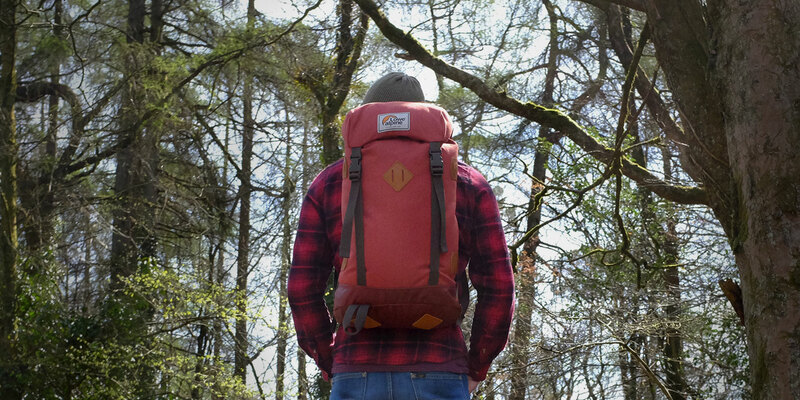 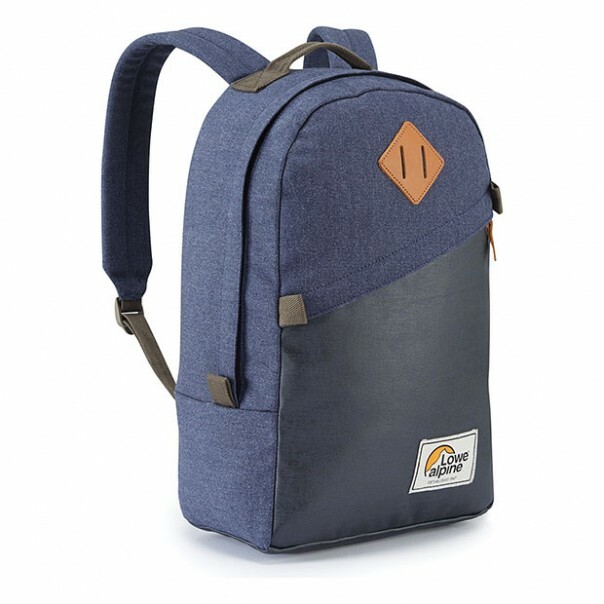 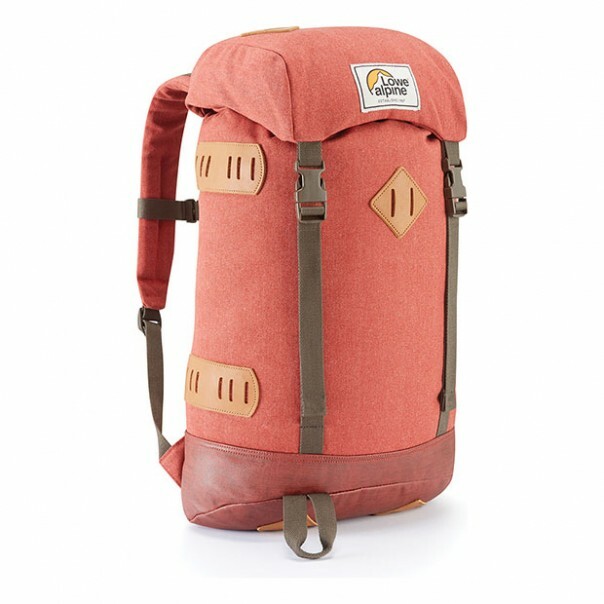 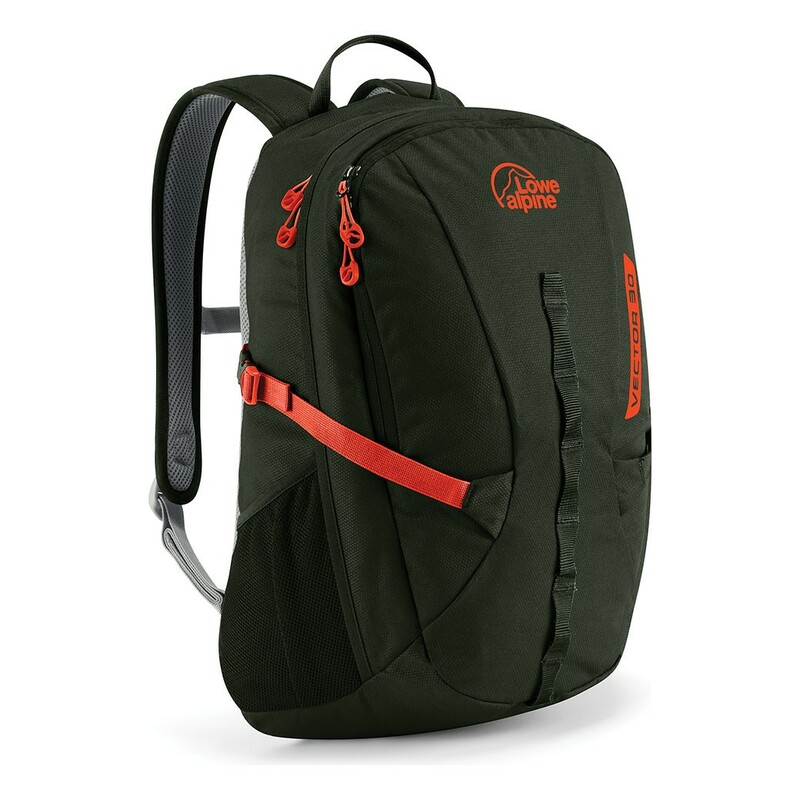 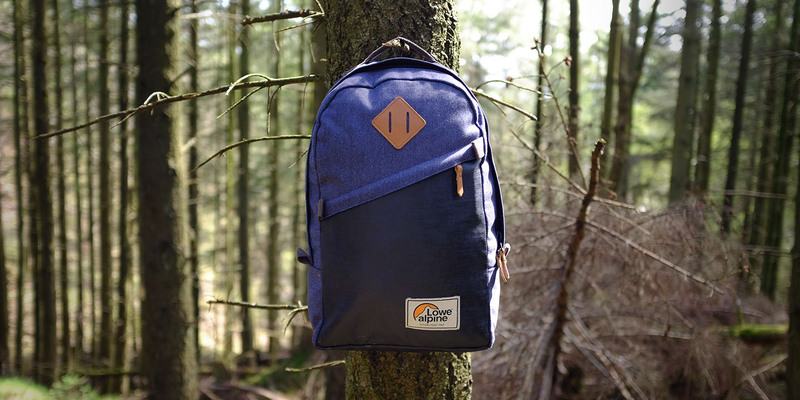 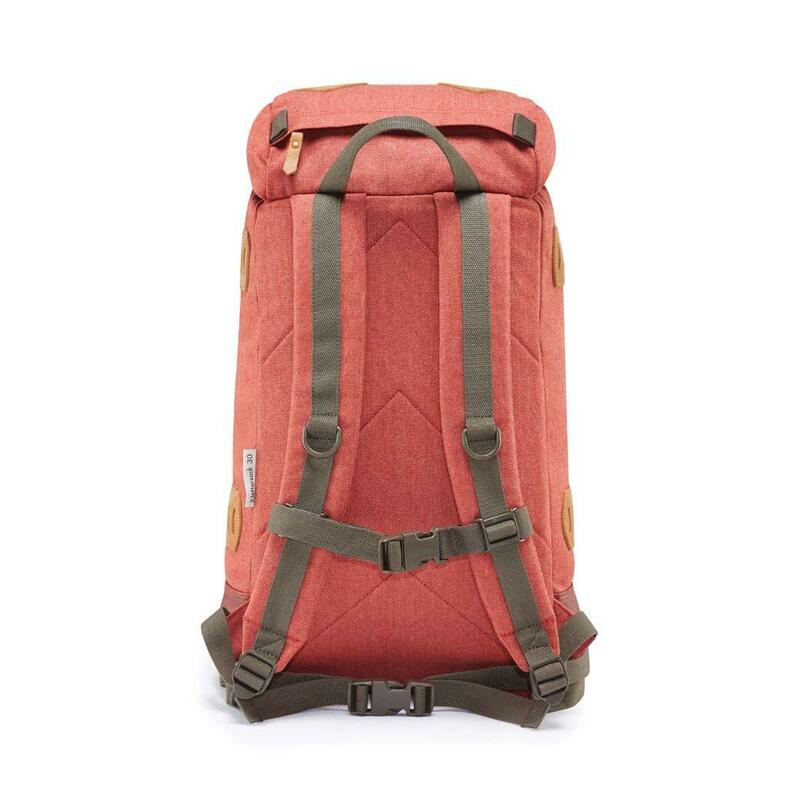 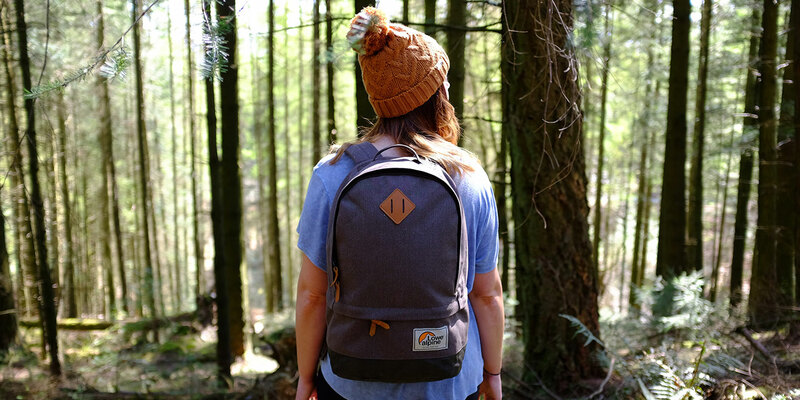 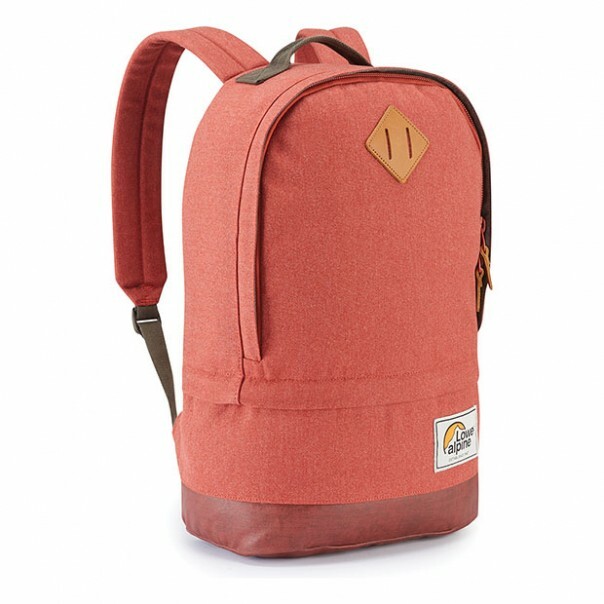 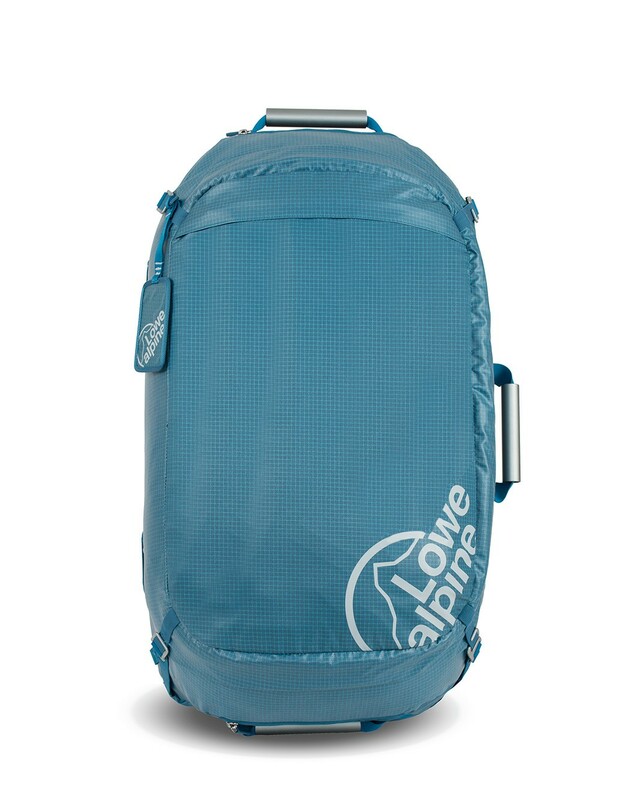 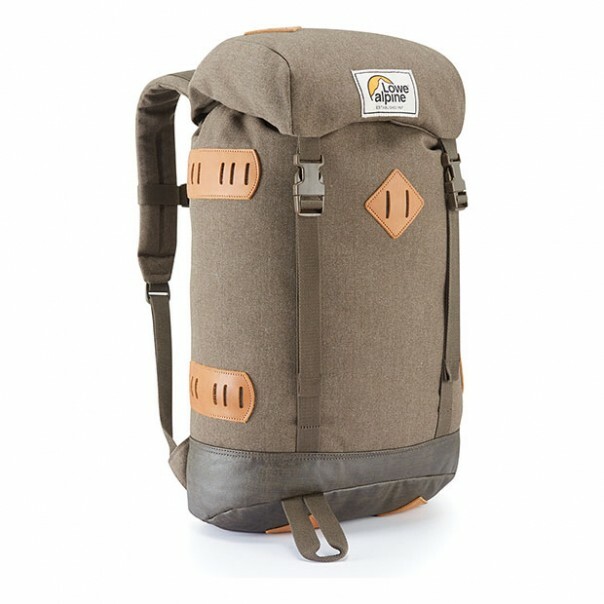 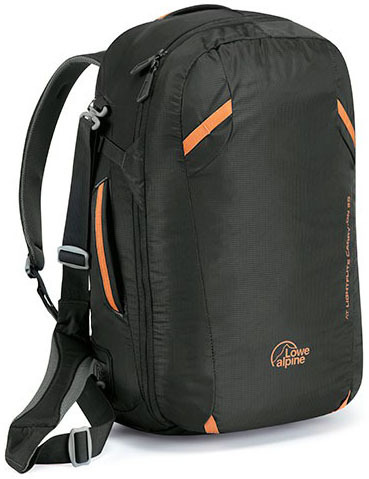 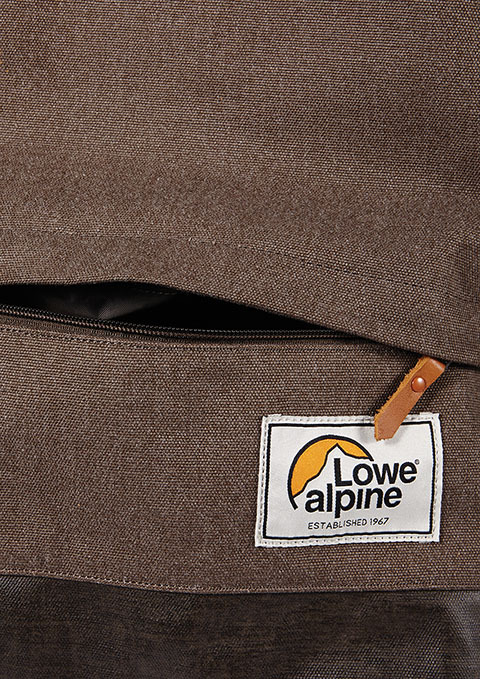 The Teton packs are heritage inspired backpacks based on original Lowe Alpine designs. 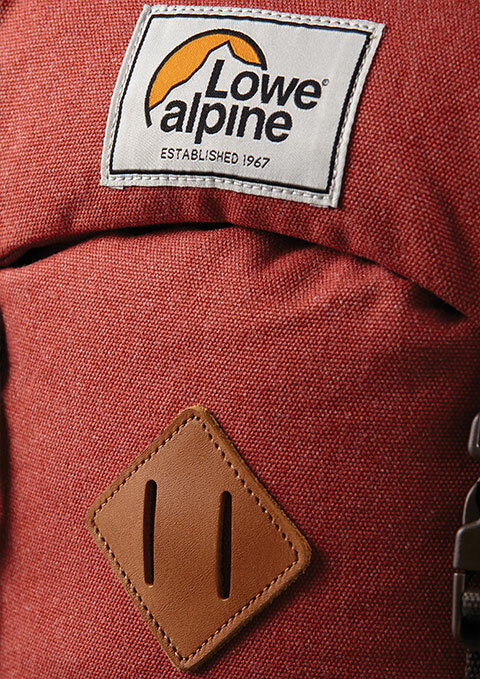 Each product takes inspiration from a historical piece that carries the same name - The Adventurer, The Guide and The Klettersack are genuine products from our long history of making hiking backpacks that inspire people to spend more time in the mountains. 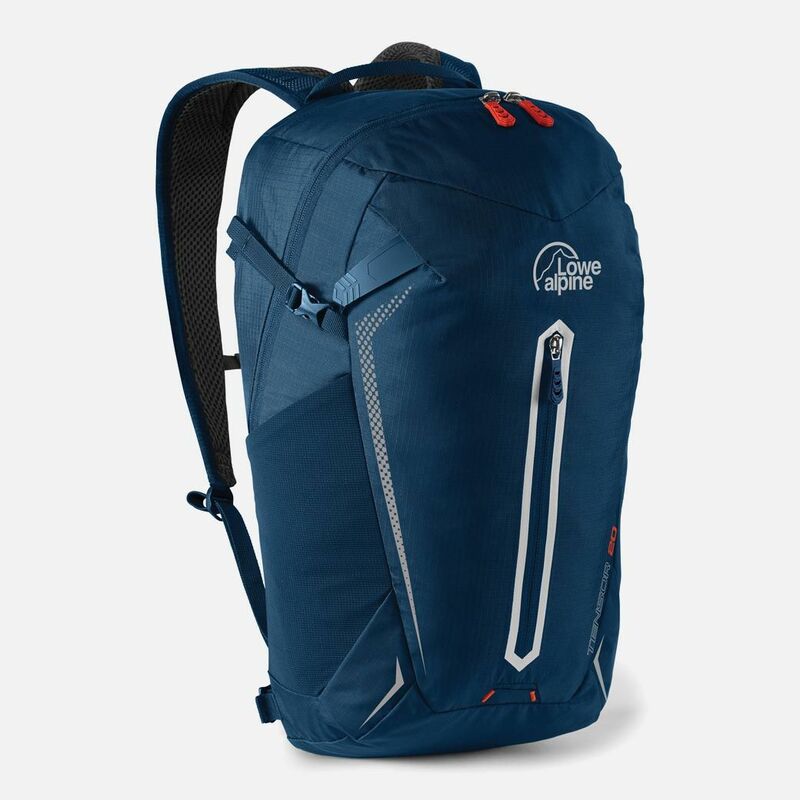 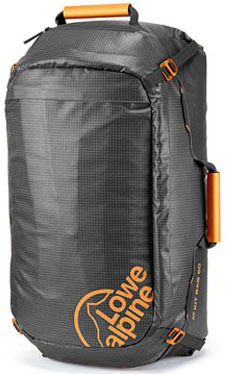 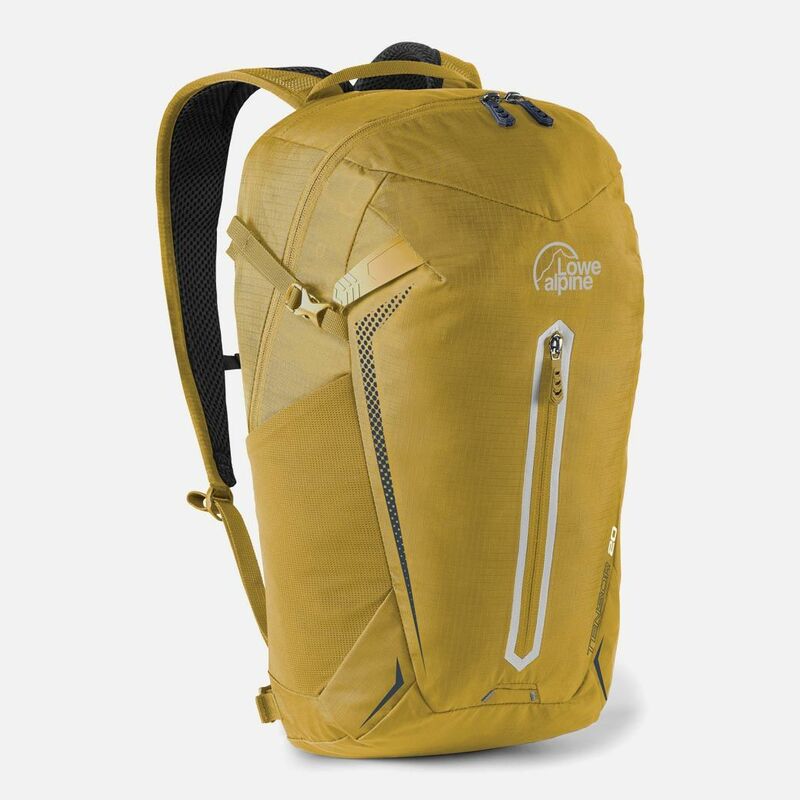 The Guide is a 25L versatile tear-drop shaped pack with a zip-out divider, offering you various space organisational options depending on your activity and kit. 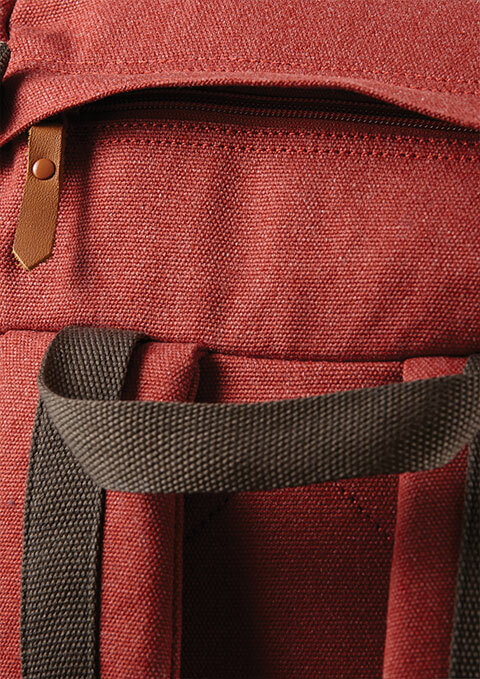 With entry to the two compartments via leather trimmer dual zippers this is functional pack harks back to our vintage styling. 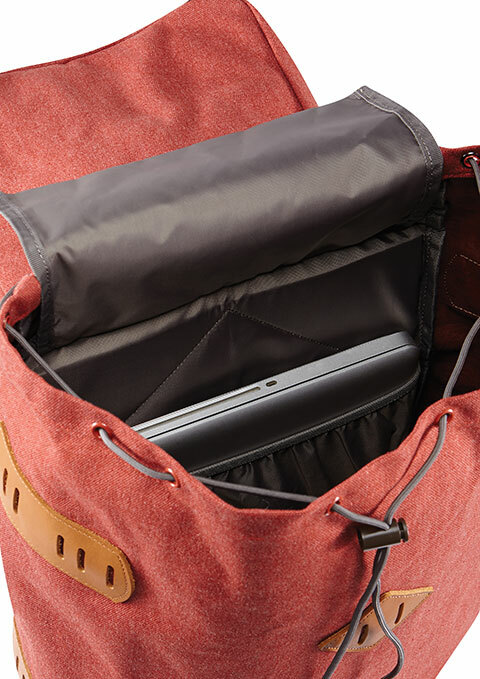 To update it for our 50th birthday we've added a padded laptop sleeve (for laptops up to 15") and built in organiser take care of your modern day belongings. 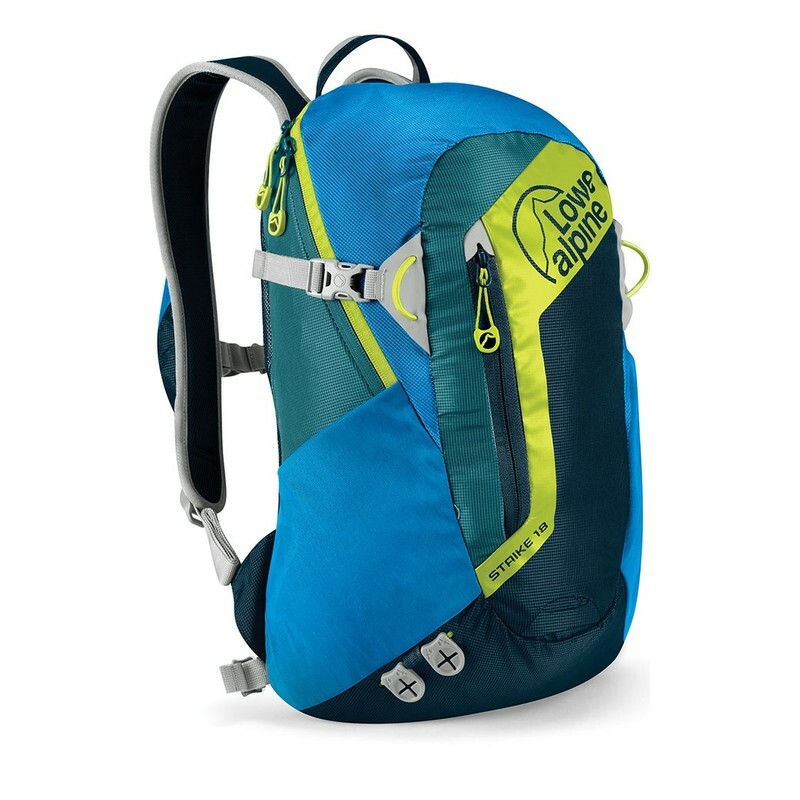 The Adventurer is a 20-litre daypack originally designed to fit snuggly to your back for technical ice or rock climbing. 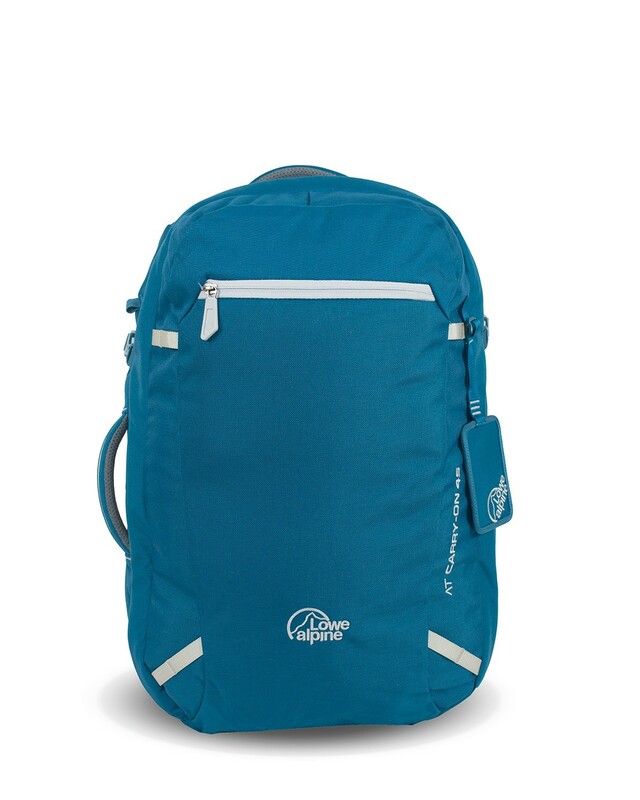 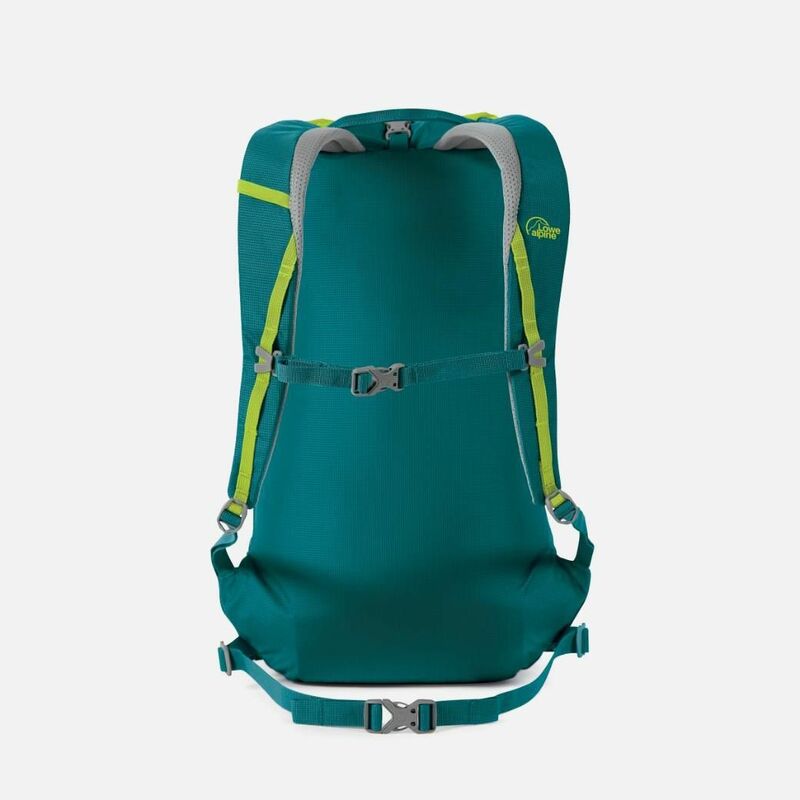 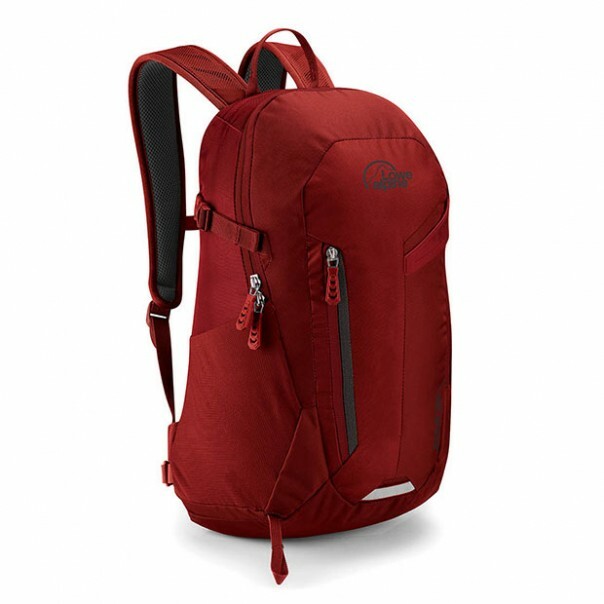 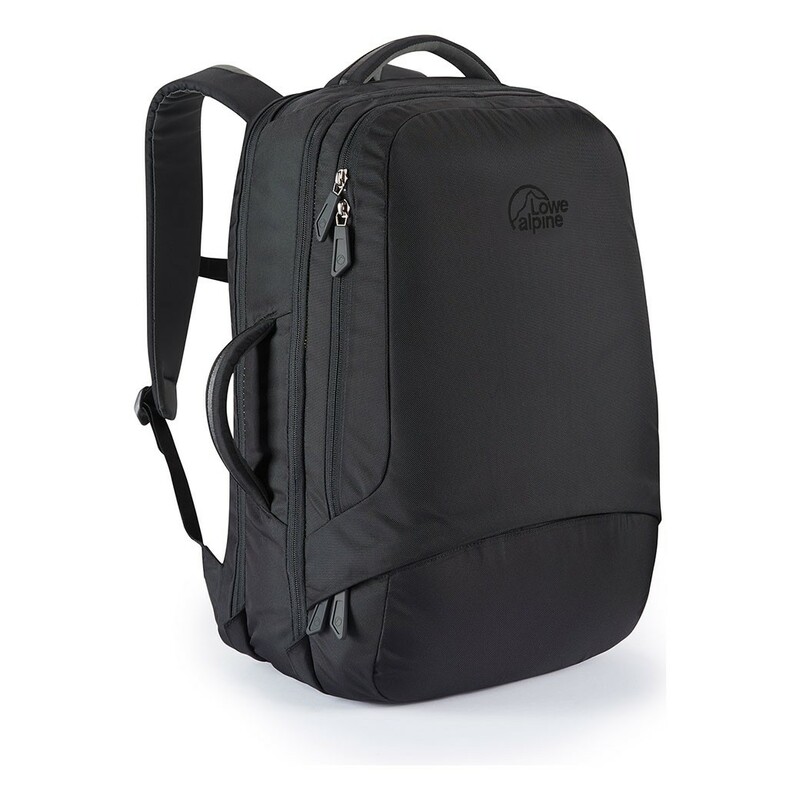 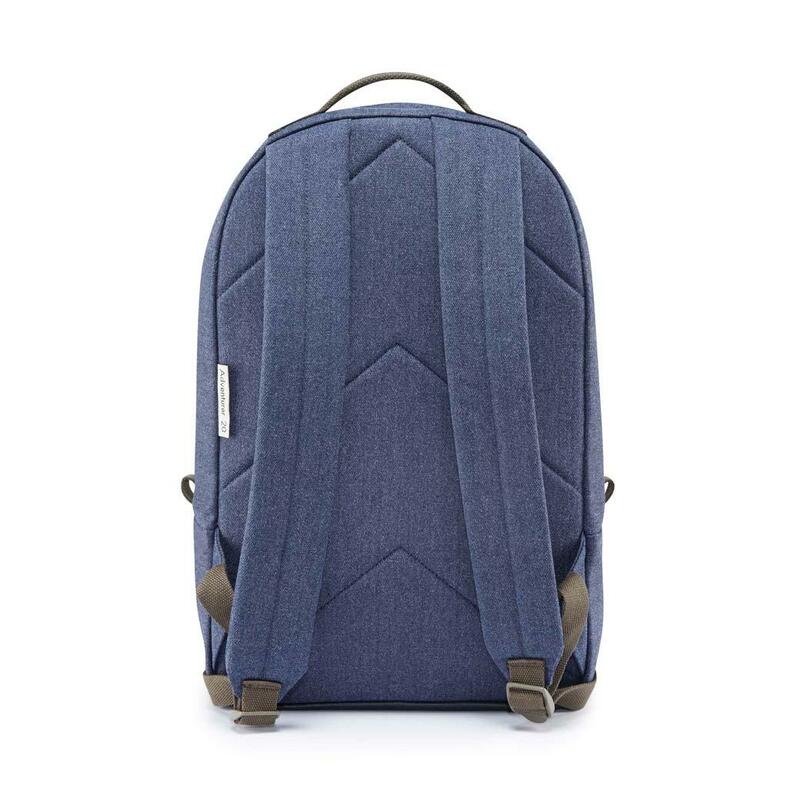 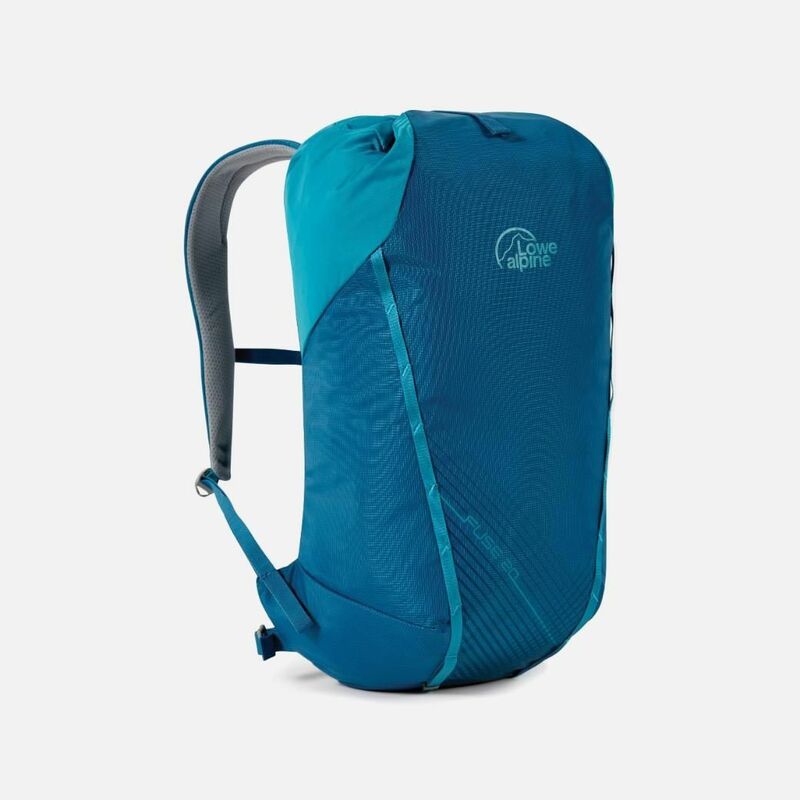 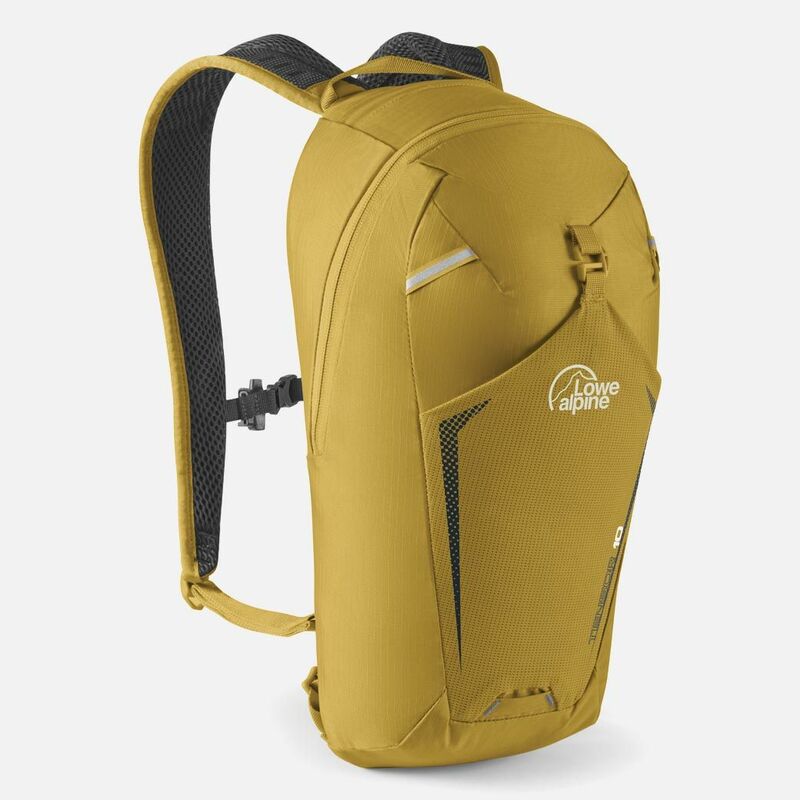 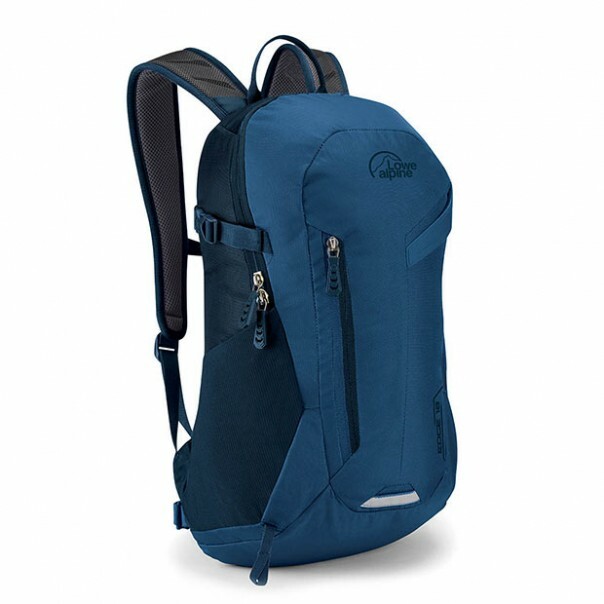 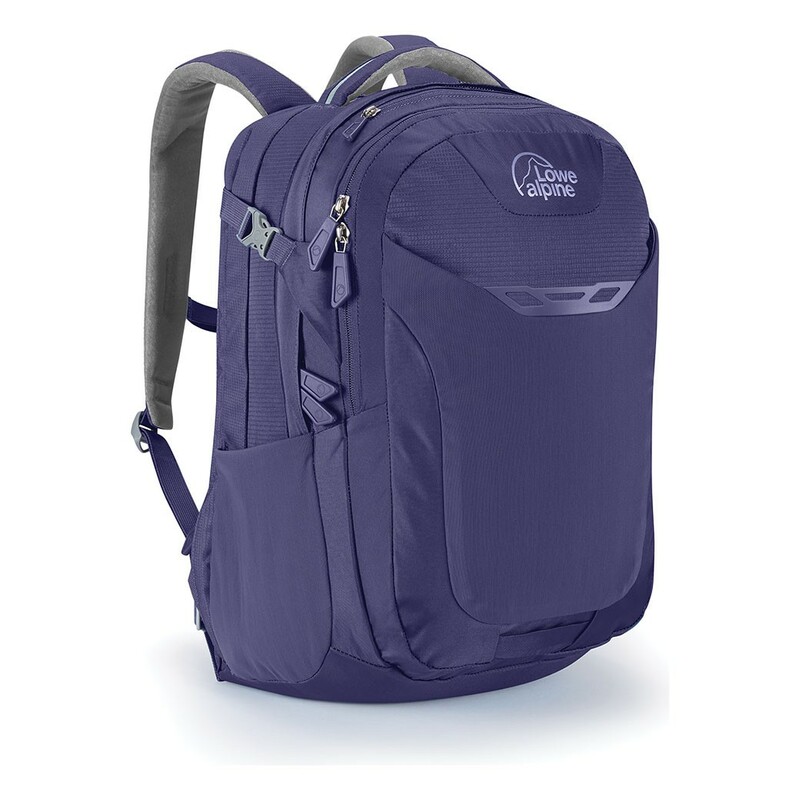 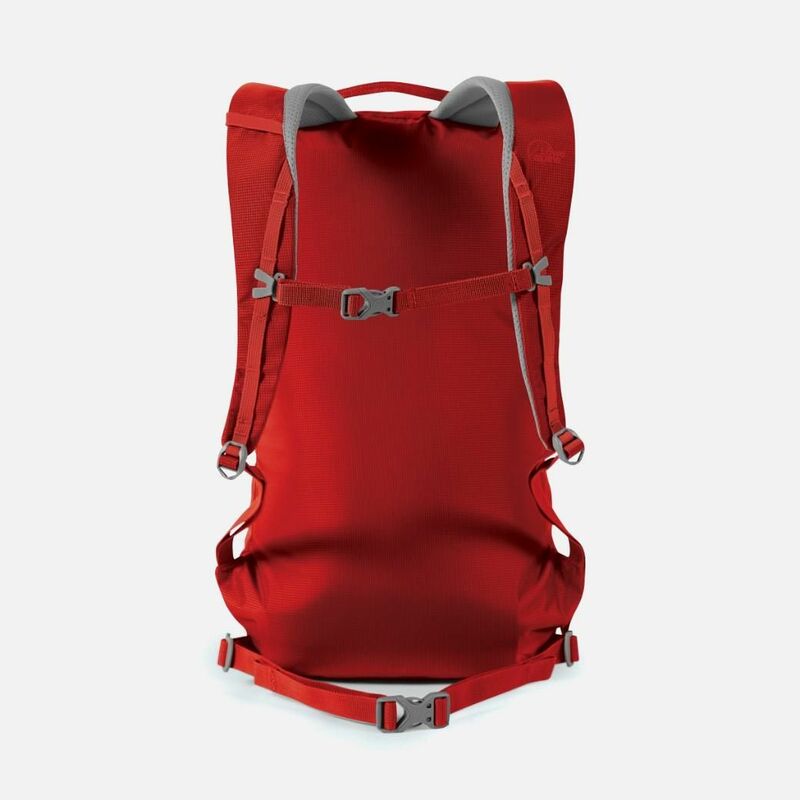 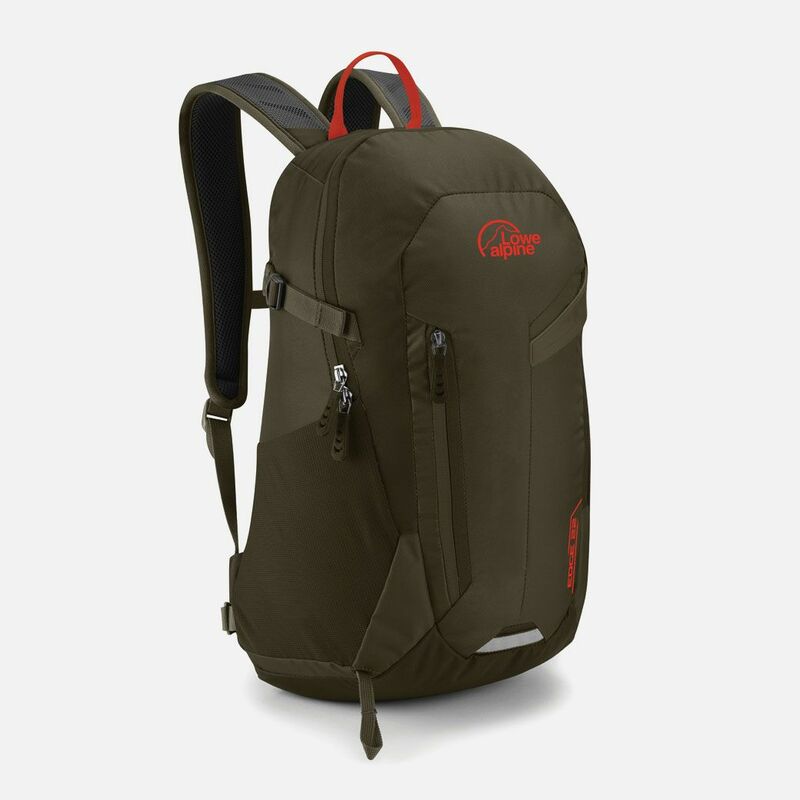 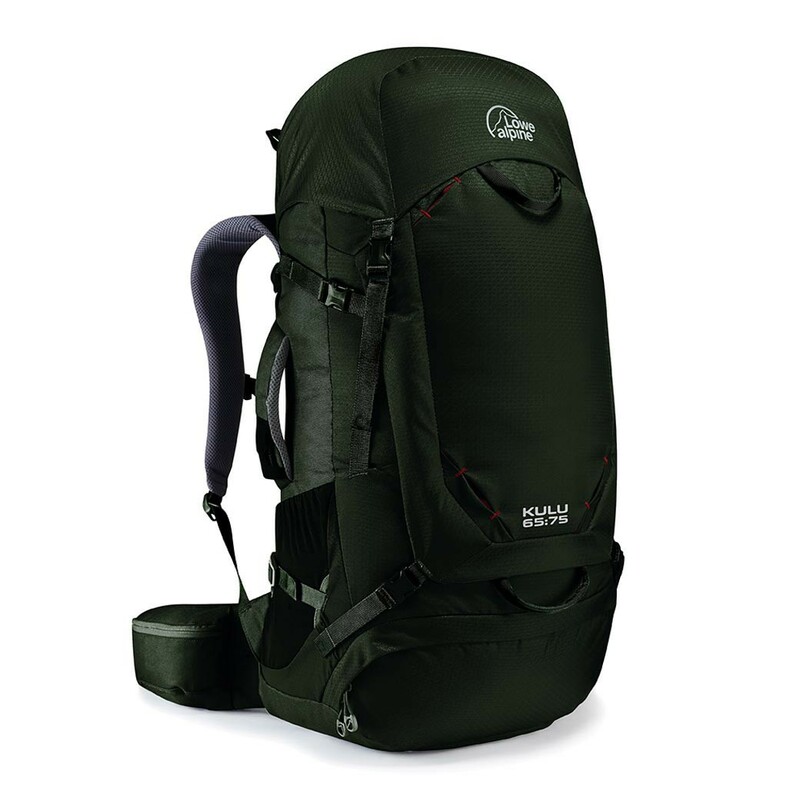 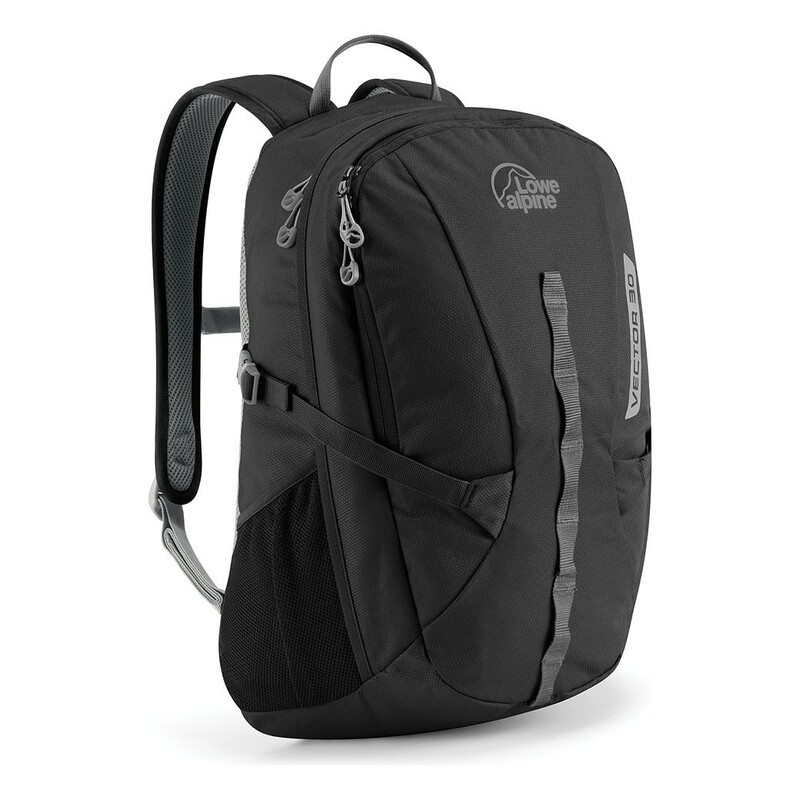 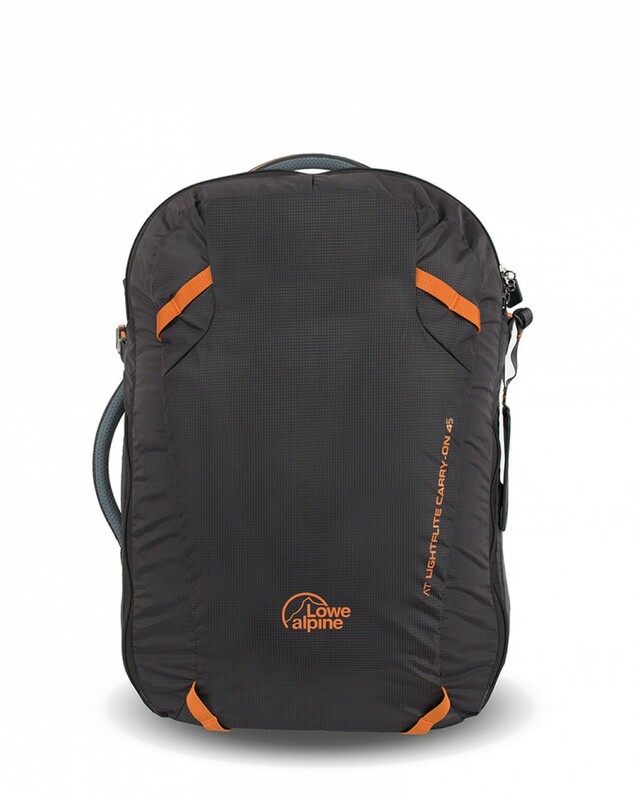 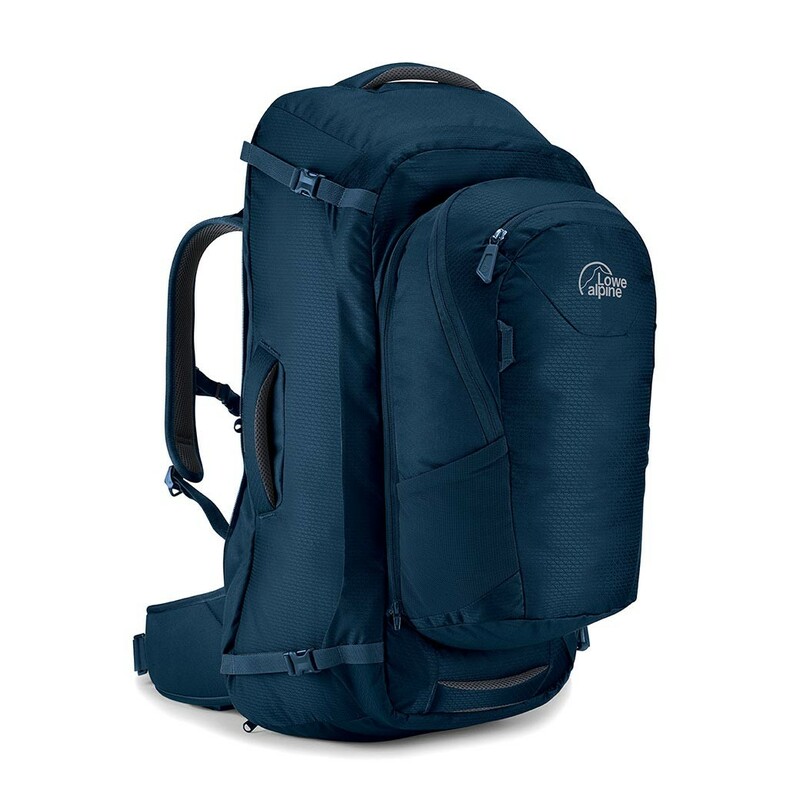 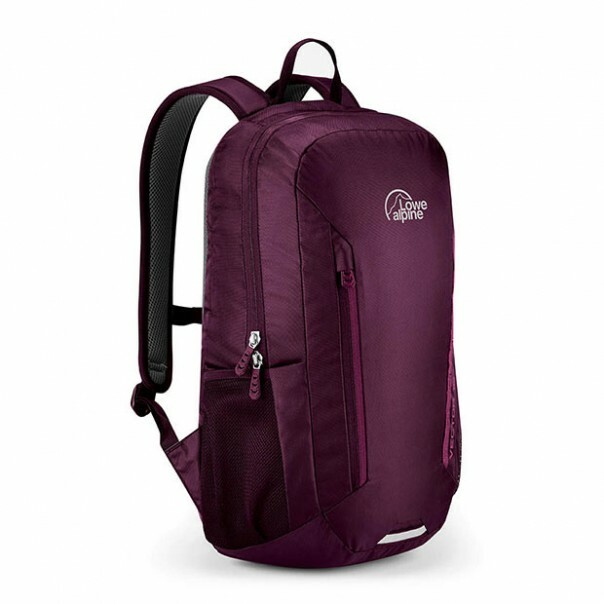 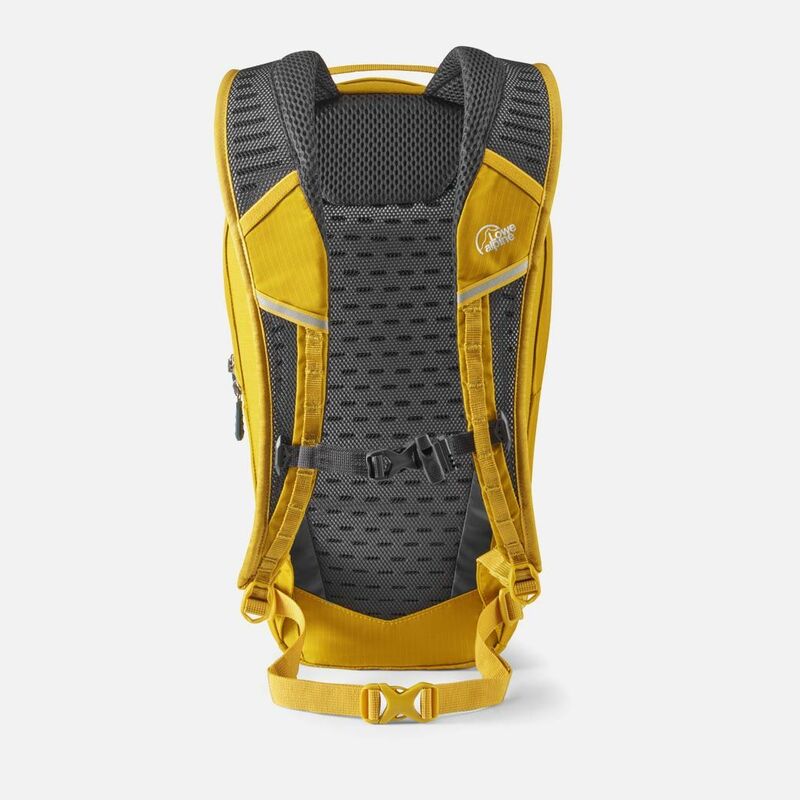 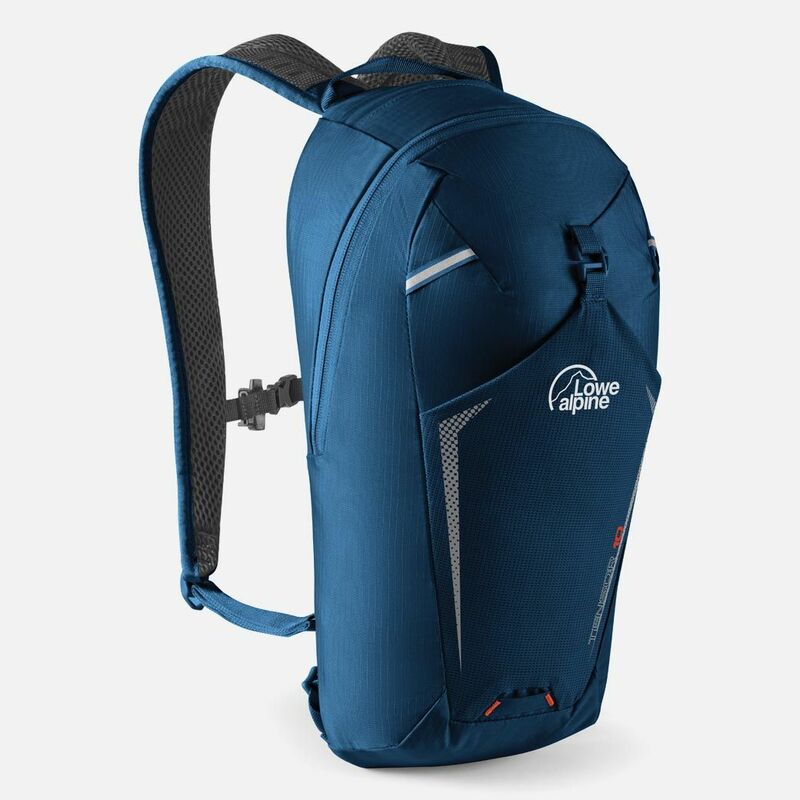 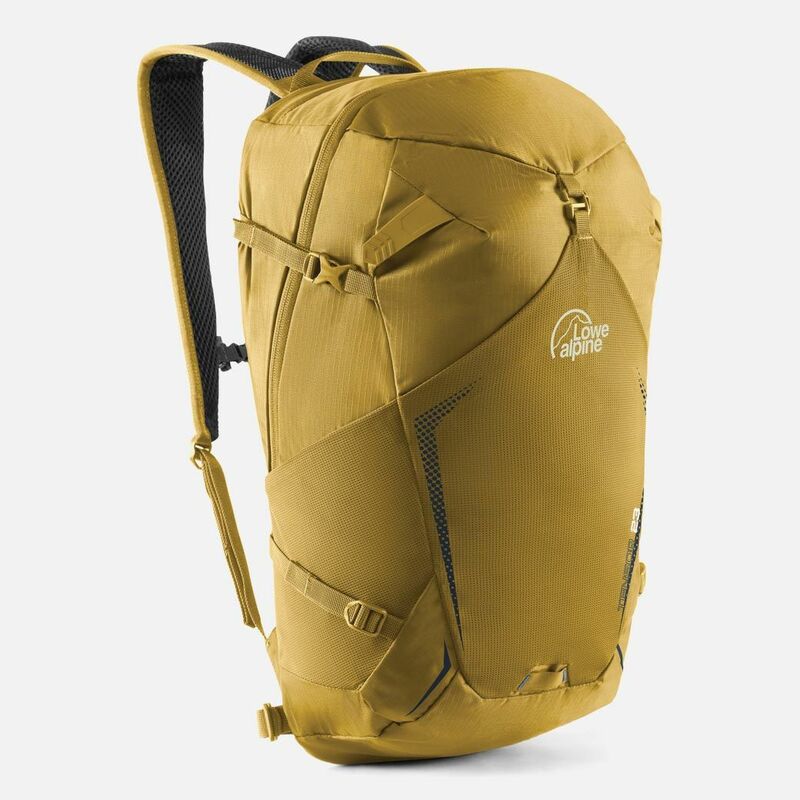 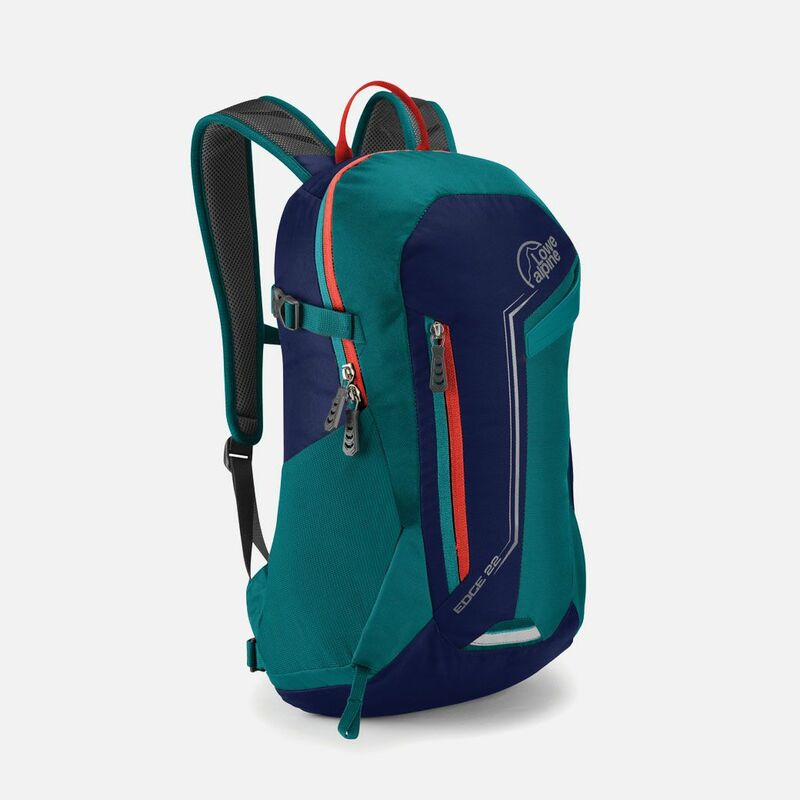 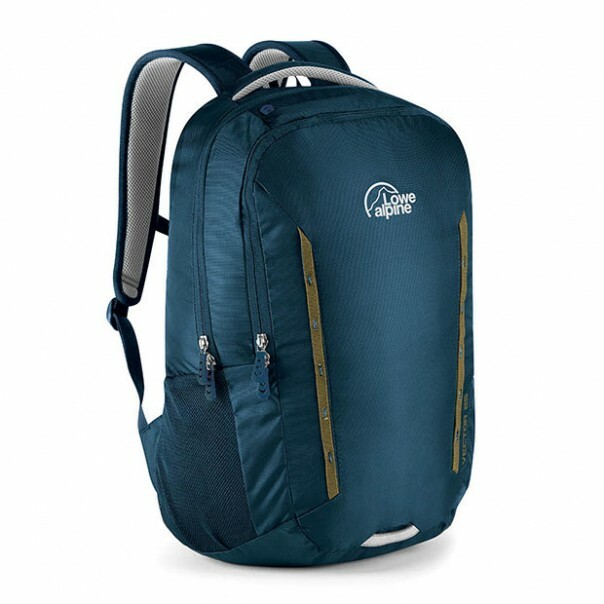 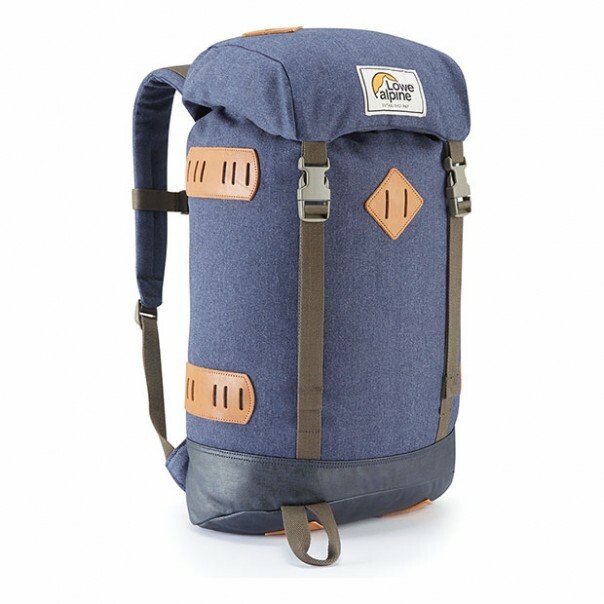 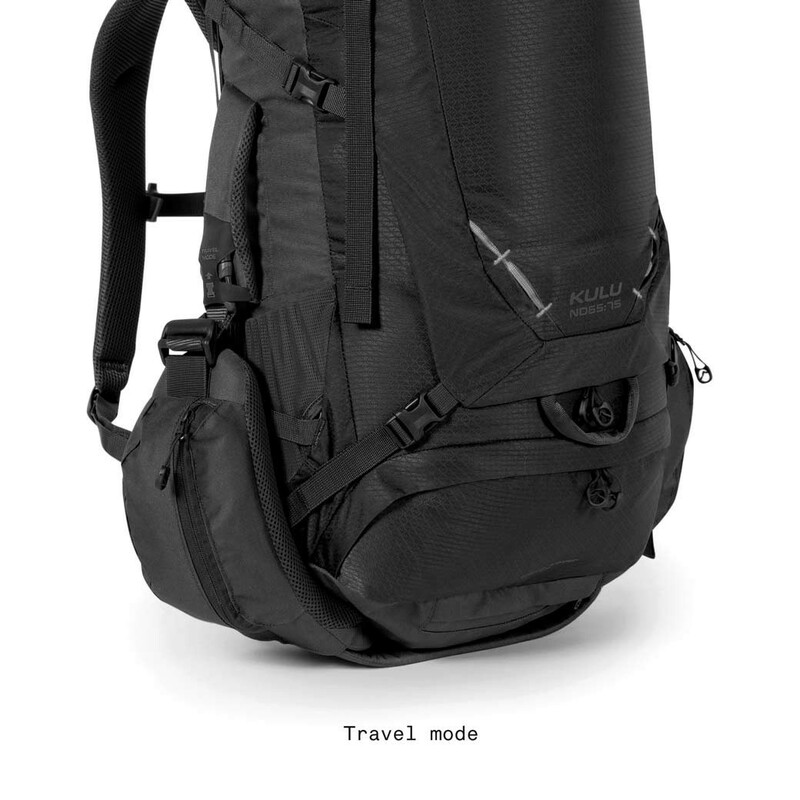 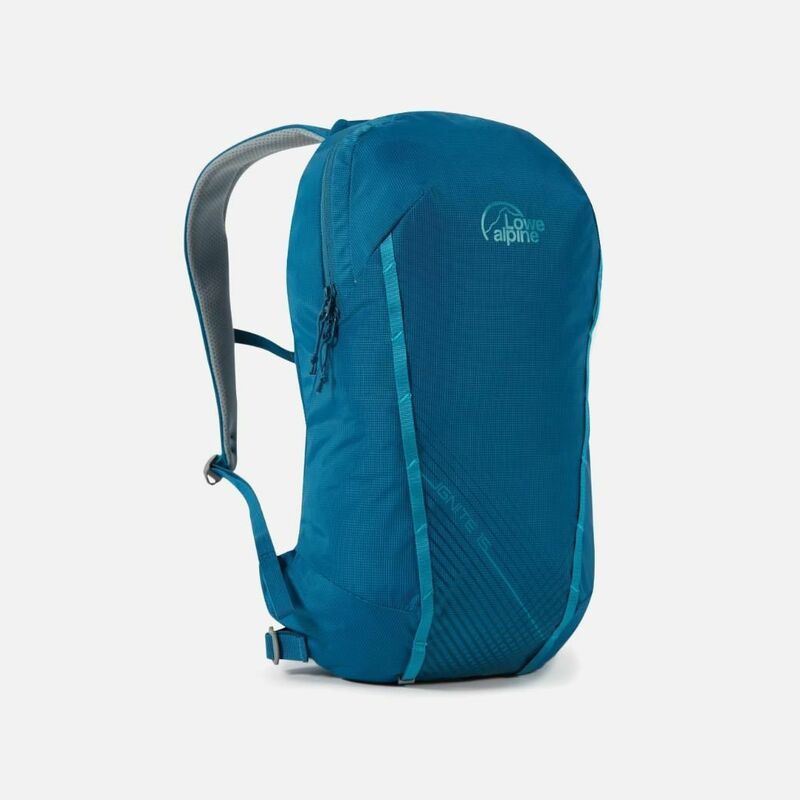 Whilst still suitable for walking and the odd scramble this pack has been updated with a padded laptop sleeve and organiser to suit the office and the hill. This classic styled pack features a large zip opening to the main compartment for easy access to all your kit, and a front zip pocket for stashing small items that you need to keep handy. 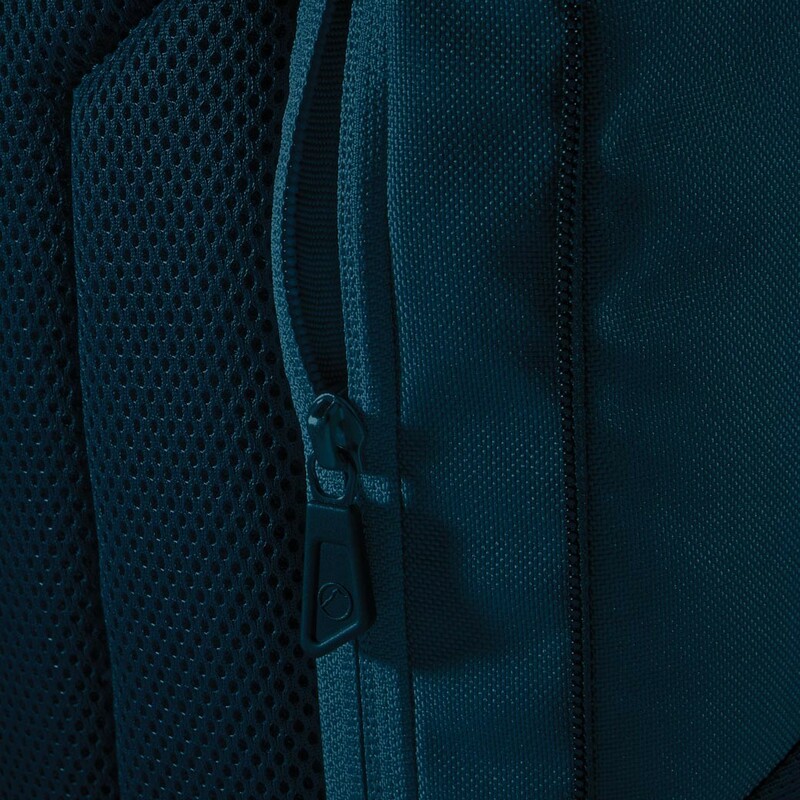 Travel luggage meets commuter pack. 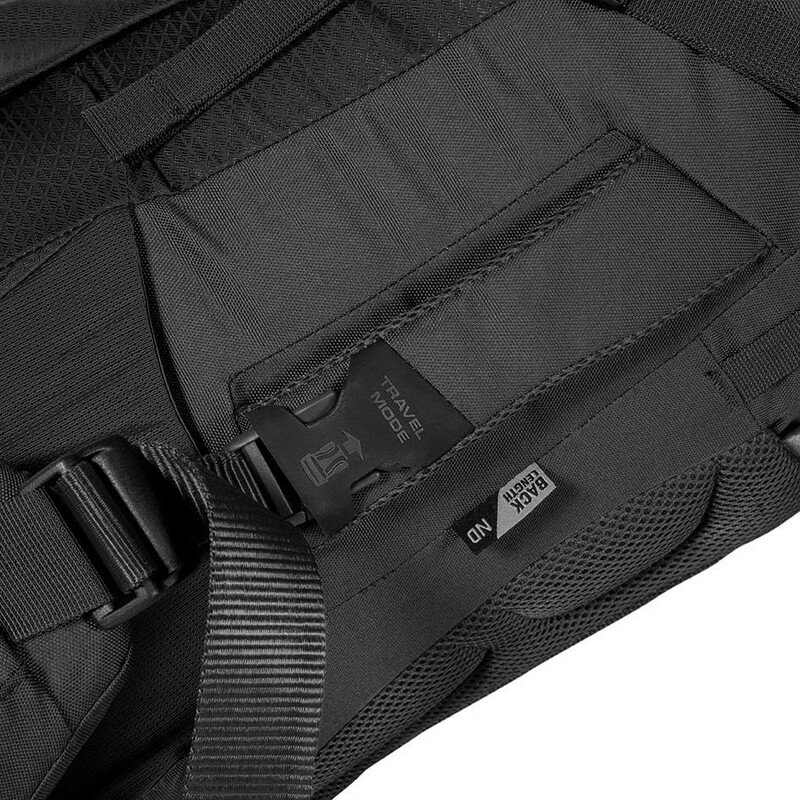 Cabin compatible, featuring a TSA approved laptop sleeve, easy access zip entry, a padded cable vault and plenty of internal load organisation options. 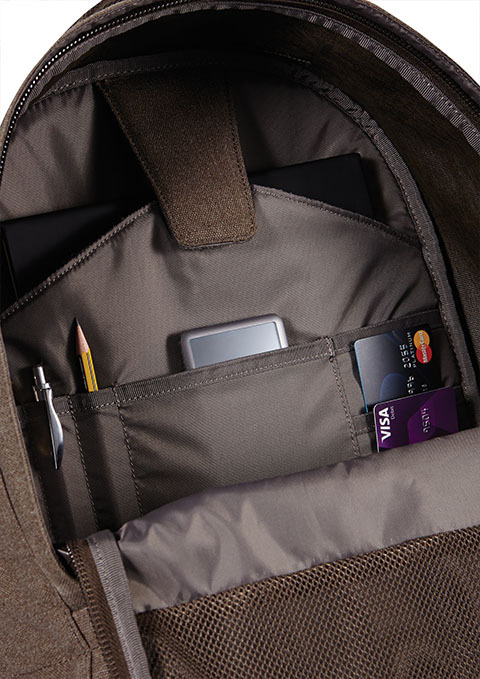 The Core features a TSA approved laptop sleeve, internal organiser and multiple compartments for organising your gear for the day ahead. 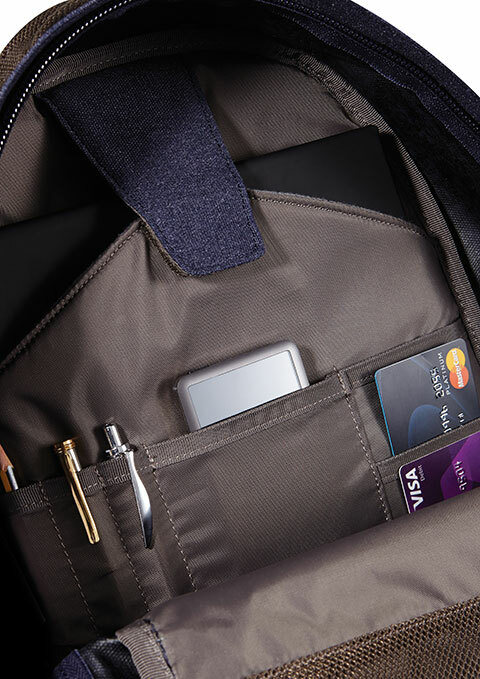 Stay organised. 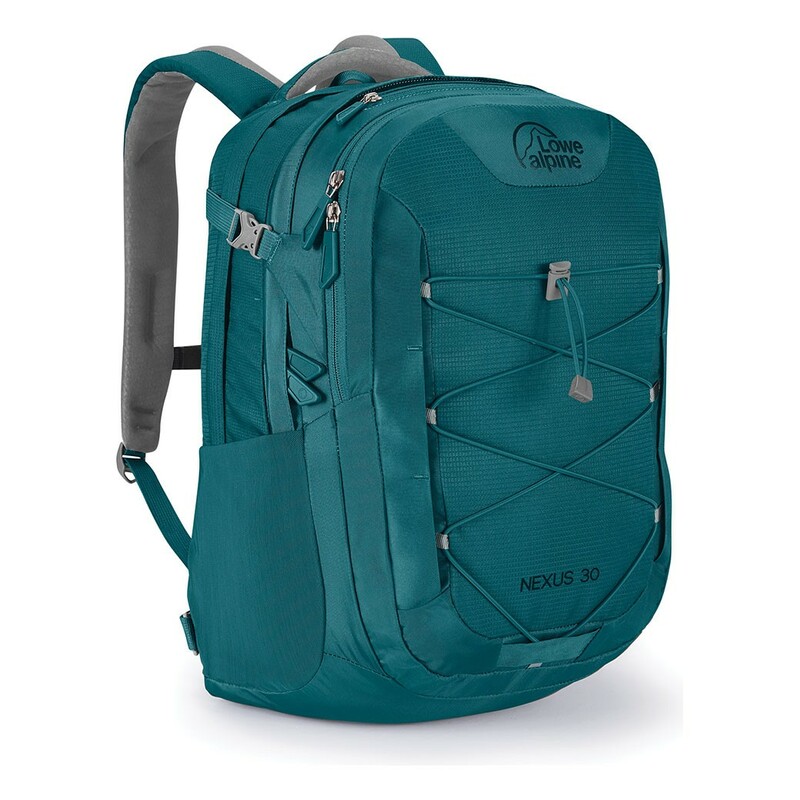 The Nexus features multiple compartments for your laptop, tablet, phone, books - everything you need to take on another day in the urban jungle. 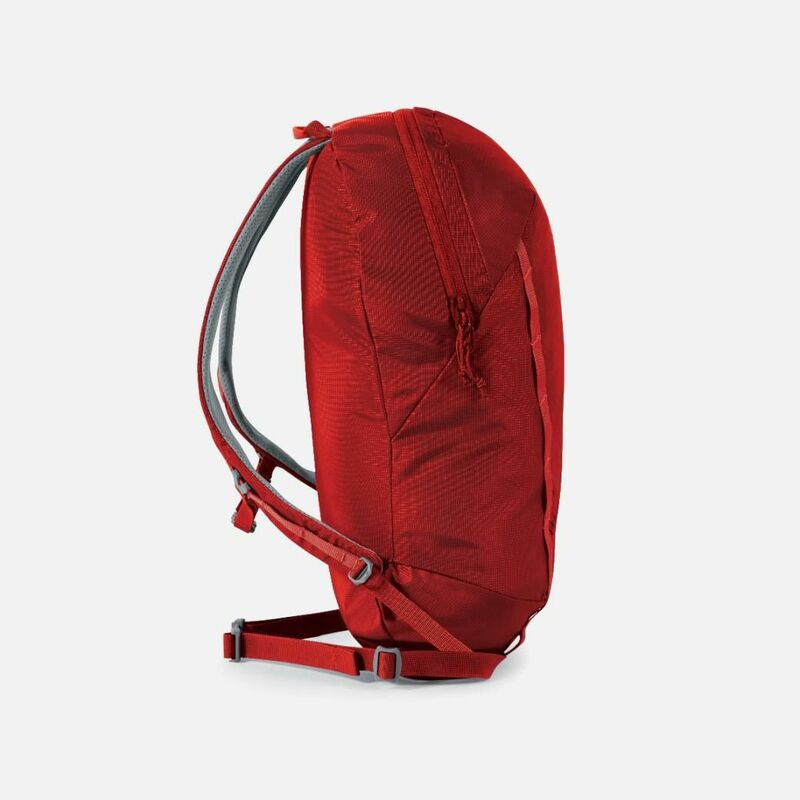 Aptly named, The Magma is hot stuff. Featuring a large main compartment, a laptop sleeve and an internal neoprene organiser - this pack provides all the tools for your daily urban adventure. 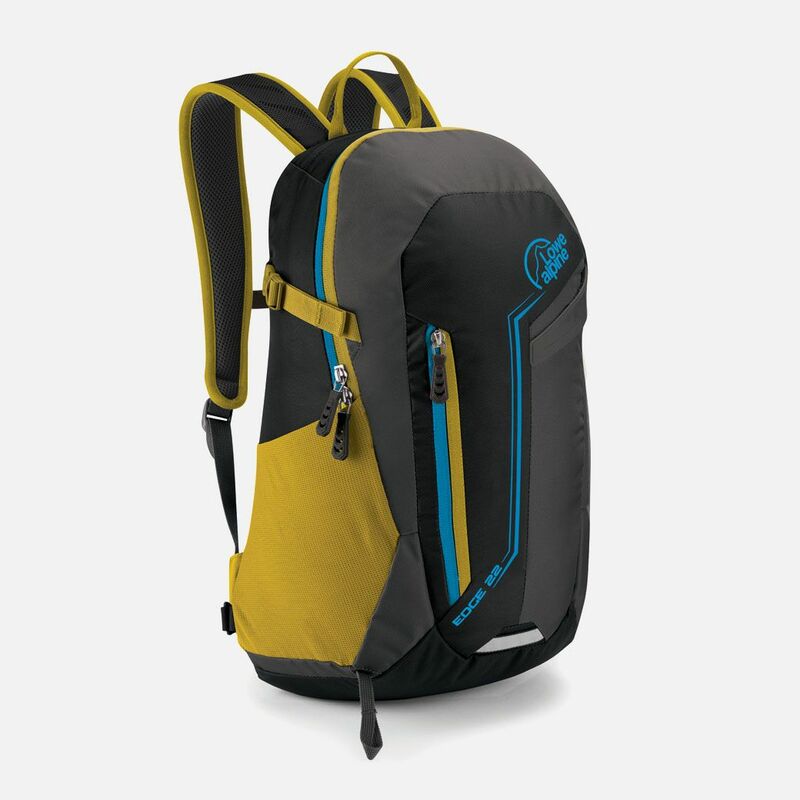 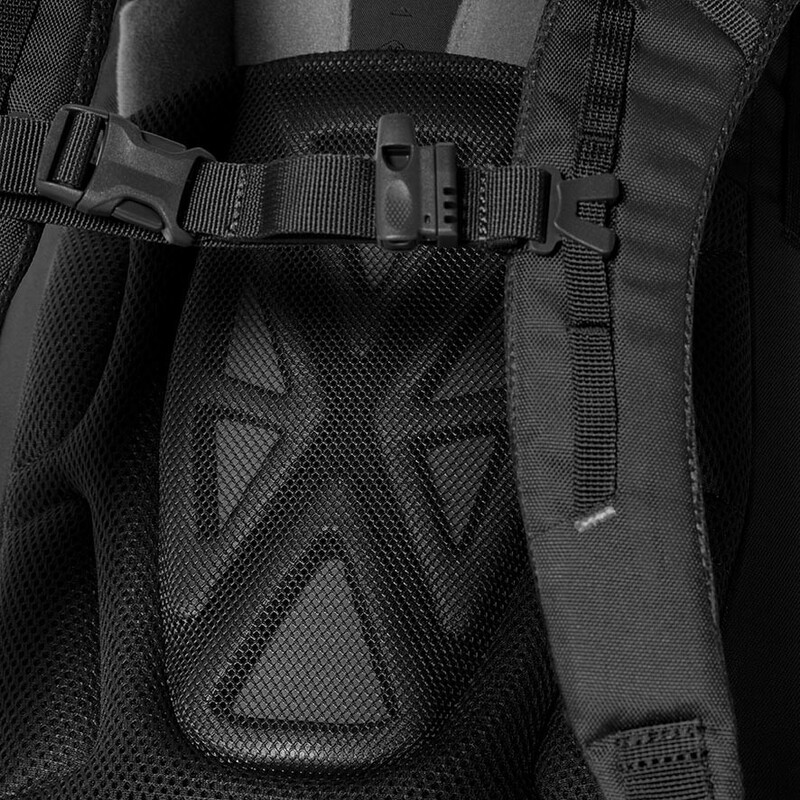 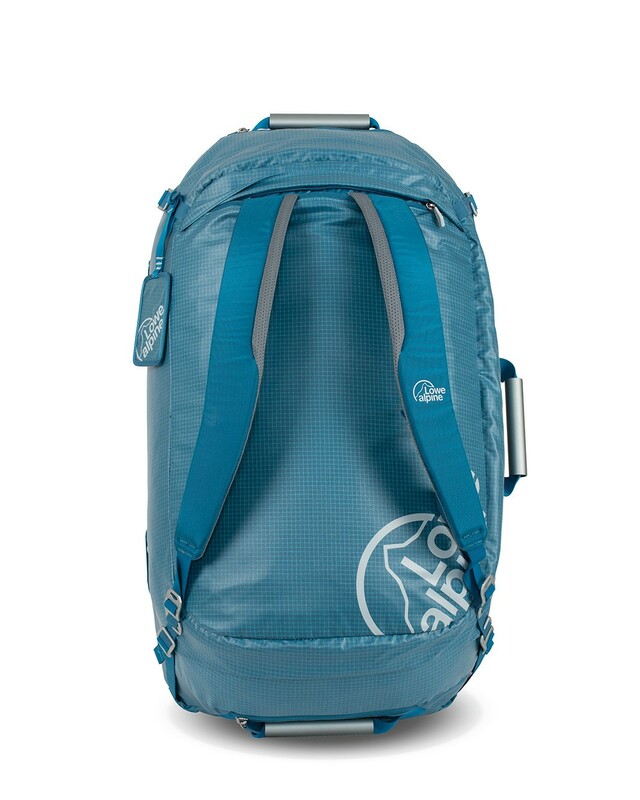 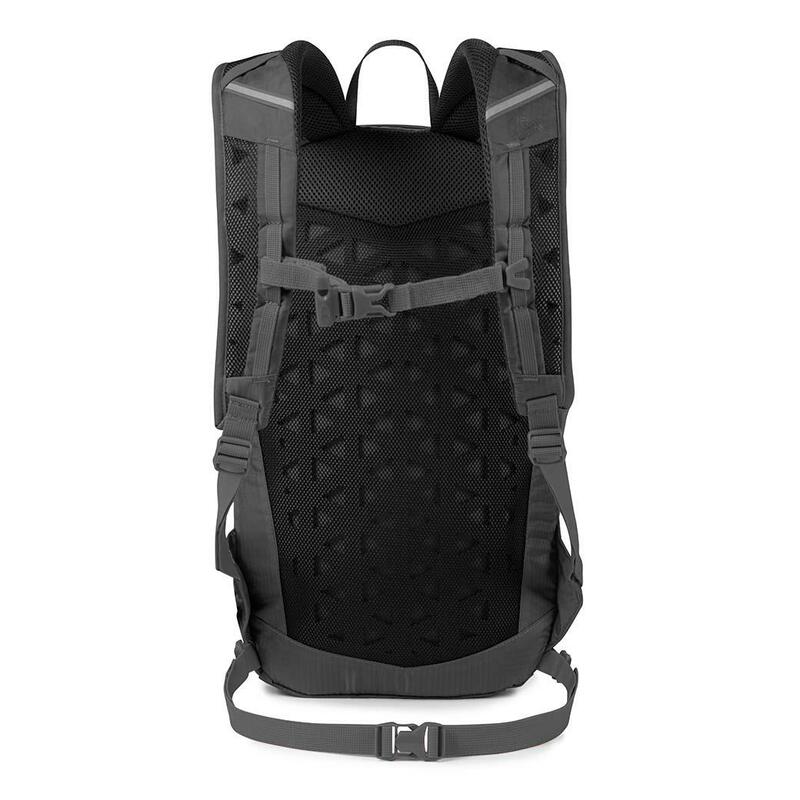 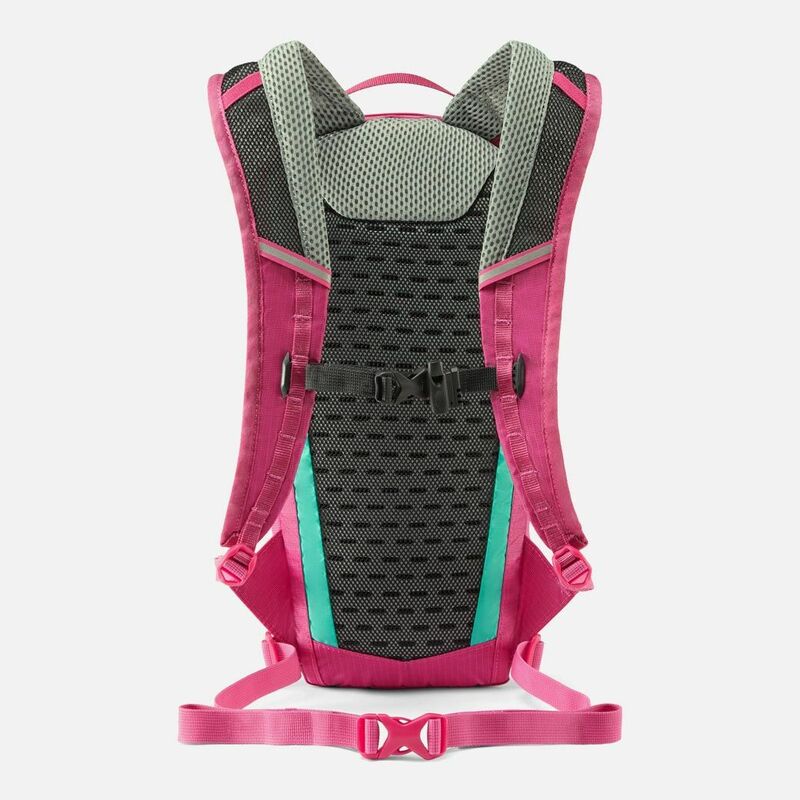 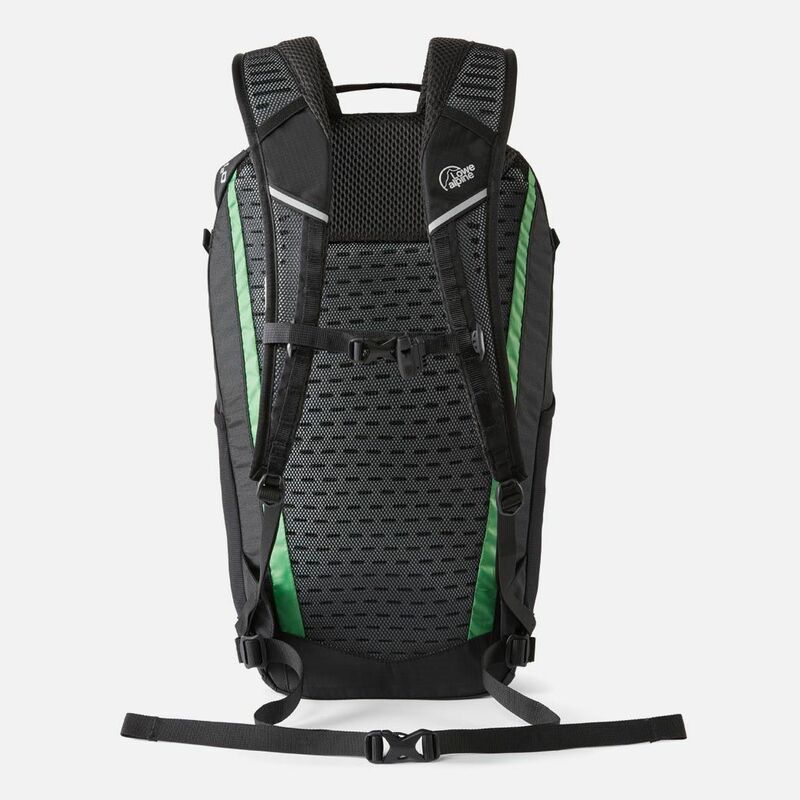 The Tensor 5 is the small, lightweight pack of choice for running, hiking, biking and general day use. At 10 litres, this slimline pack is ideal for when you only need minimal gear and want a pack that you can forget about while you're moving. 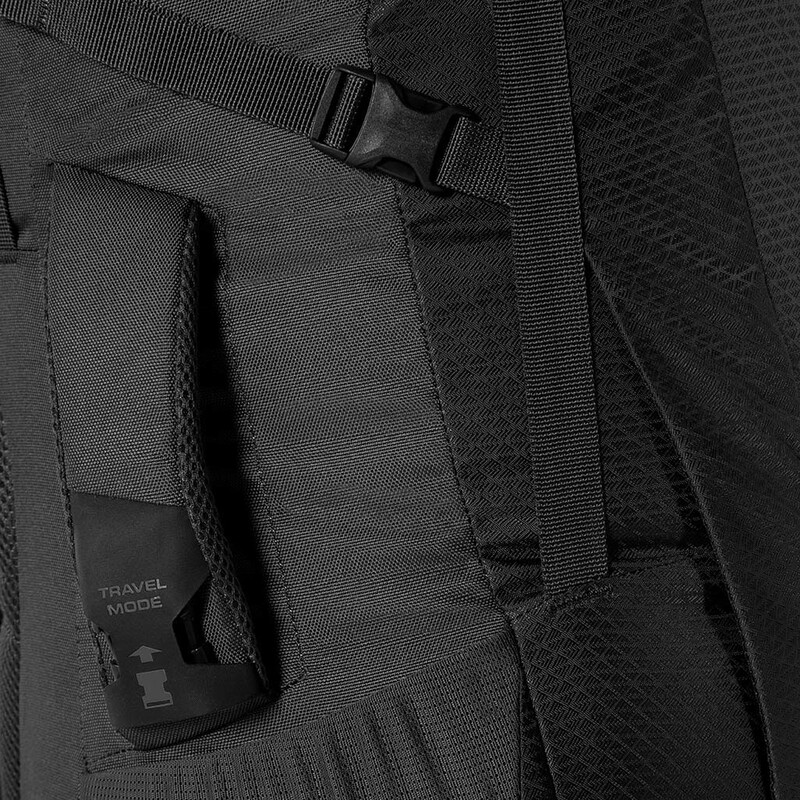 The features on the Tensor series are stripped down to the essentials. 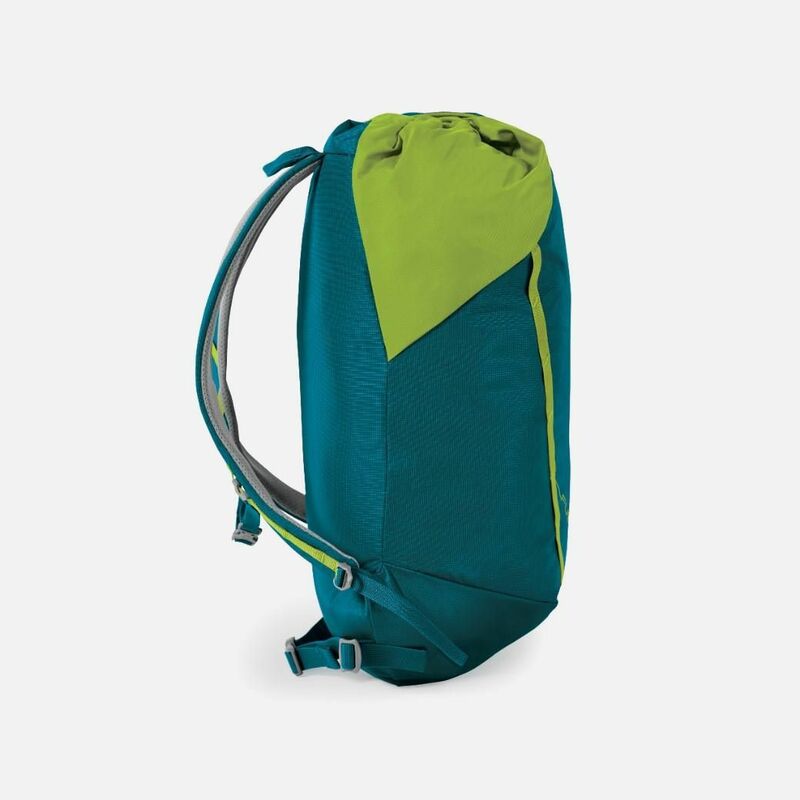 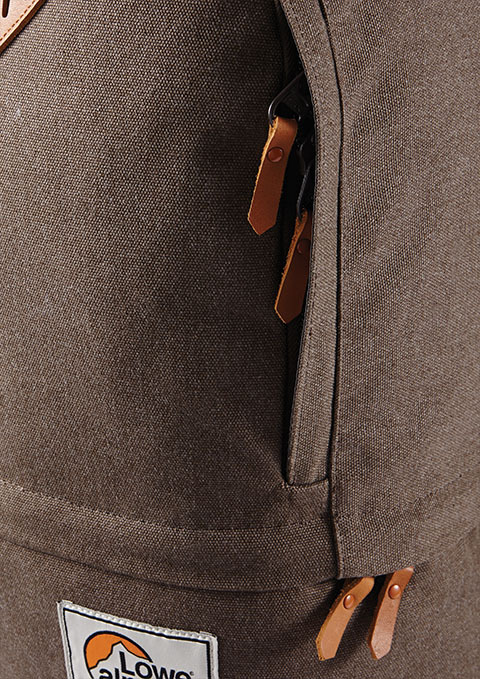 There's a stretch-fabric stash pocket on the front that lets you quickly stow an unwanted layer or waterproof, a top pocket with a key clip for your valuables, an internal mesh pocket for instant-access items and a hydration bladder sleeve so you won't have to stop for a drink. The Tensor range features our Air-Contour back panel designed to keep you cool without adding weight to the pack and it's built from Robic 210D Shadow Ripstop fabric which delivers increased tear strength while ensuring the fabric remains as light as possible. 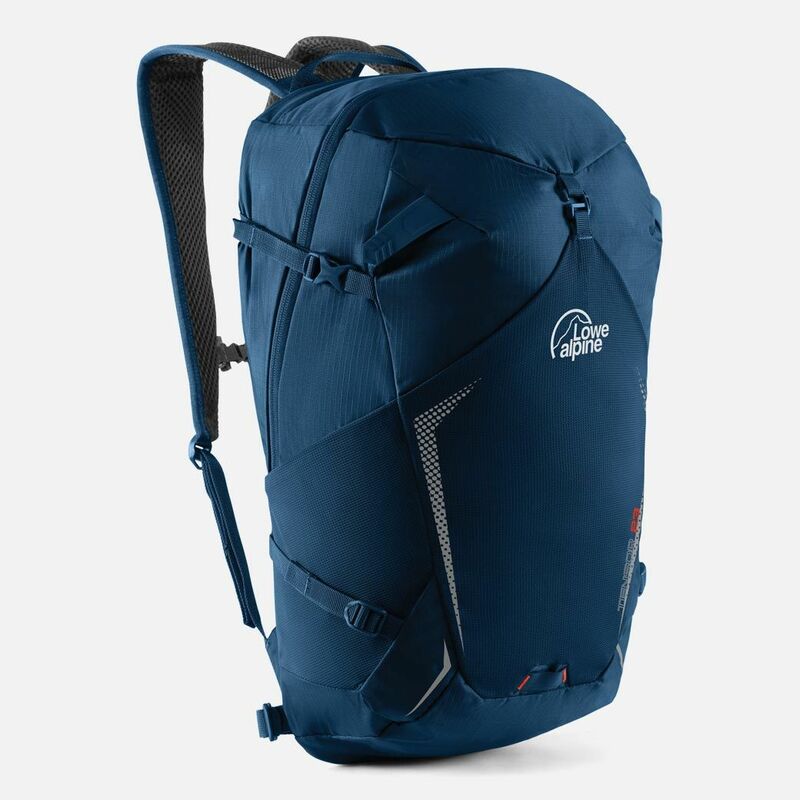 If you're planning on moving fast and carrying only the essentials, the Tensor 10 is a perfect fit. 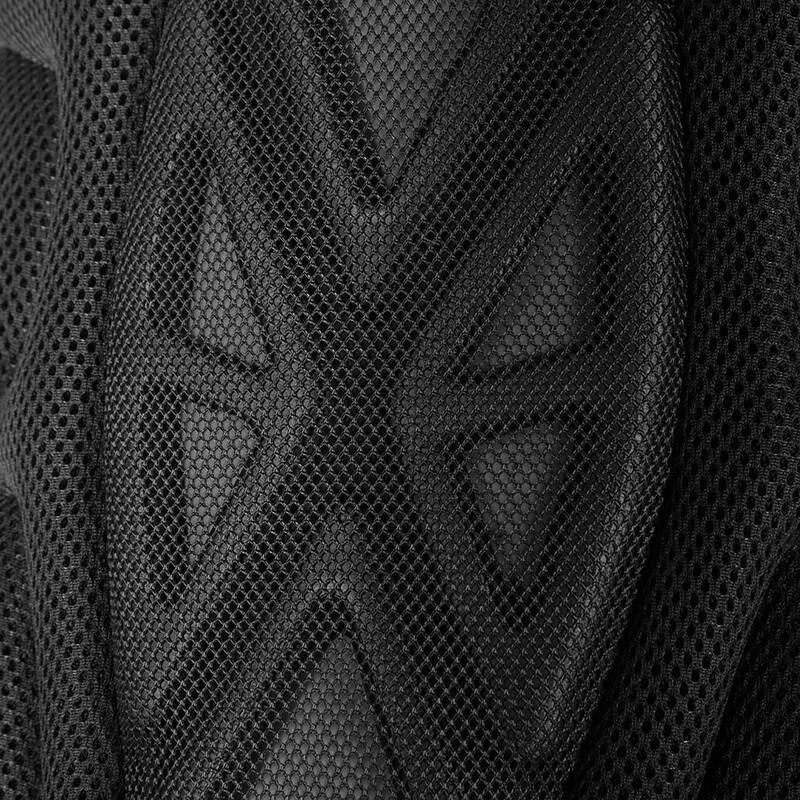 Activate your day. Work, run, climb, strike while you can. 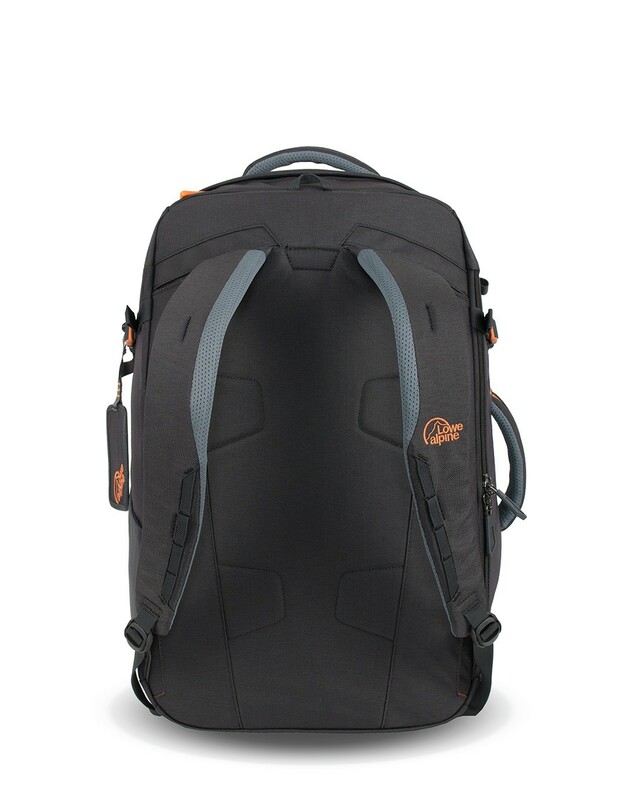 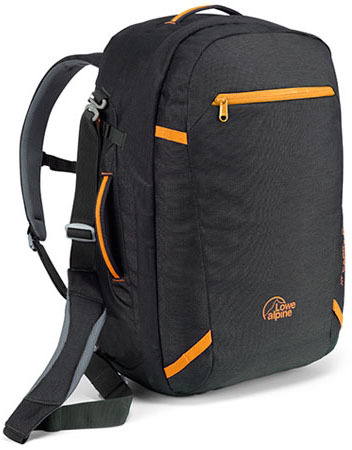 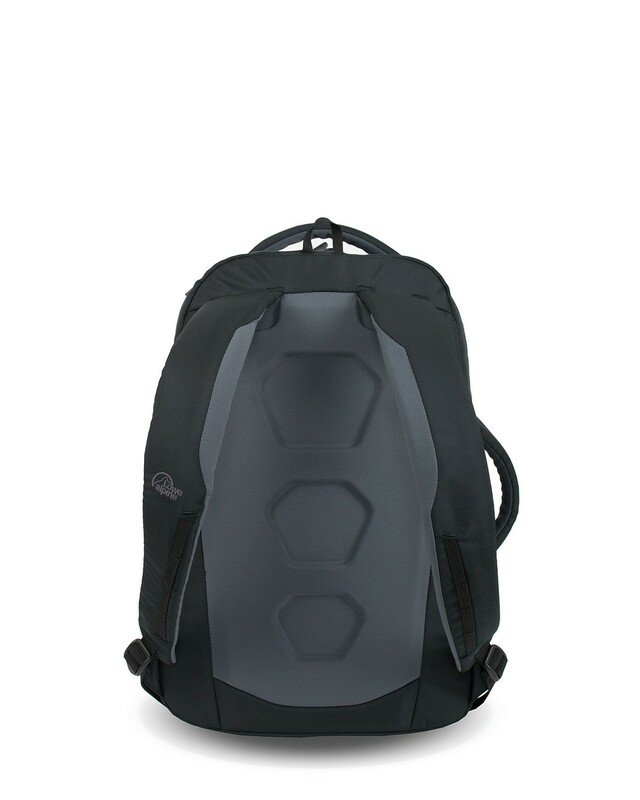 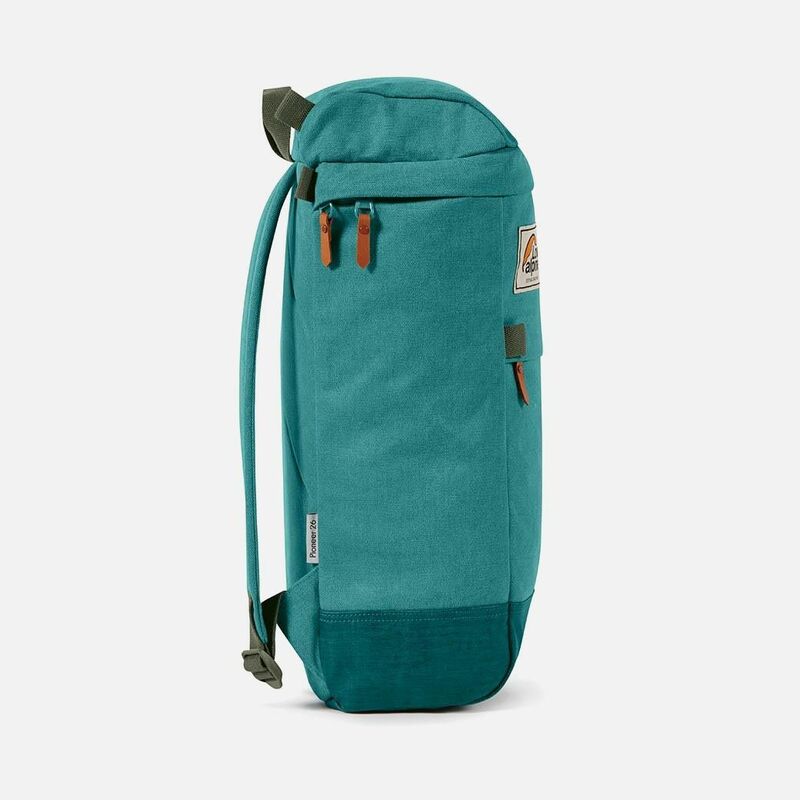 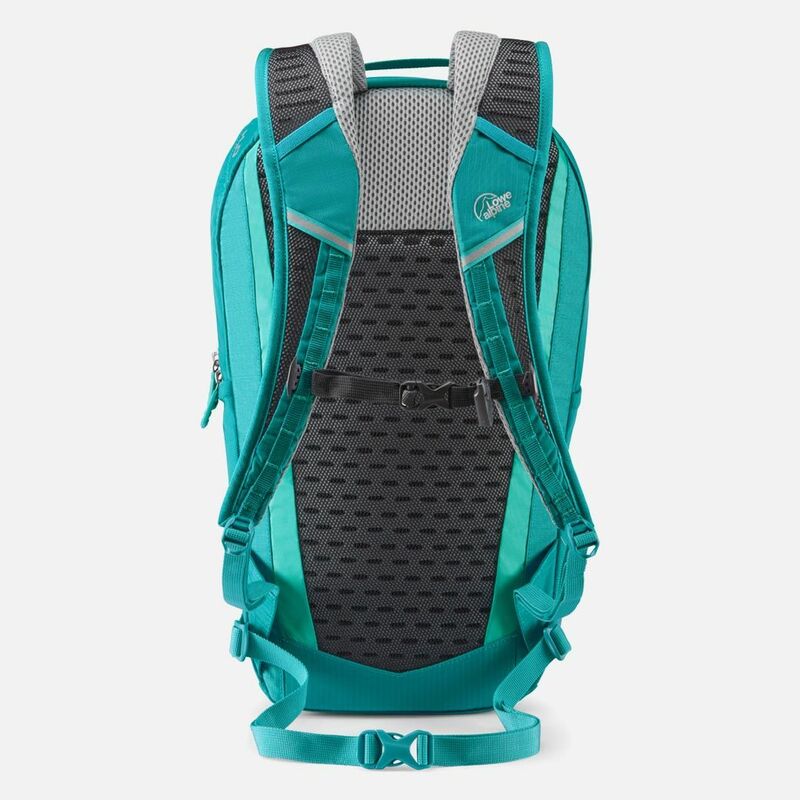 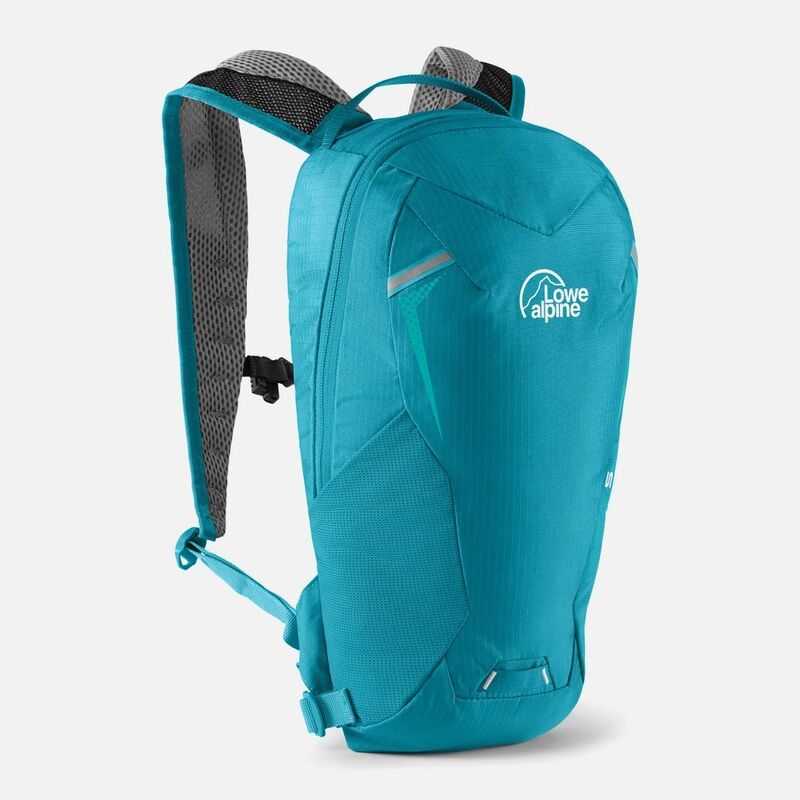 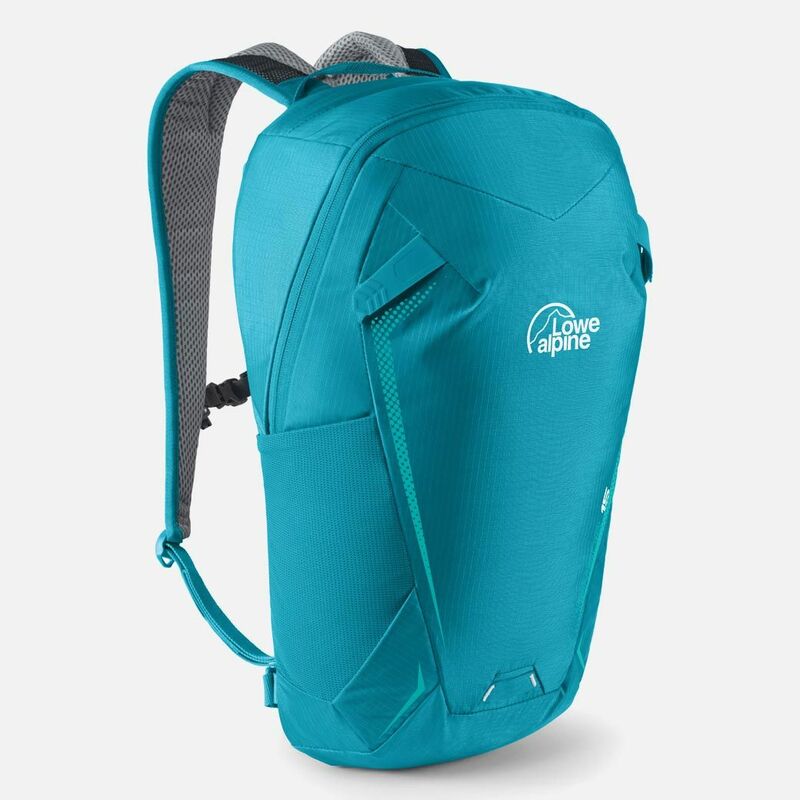 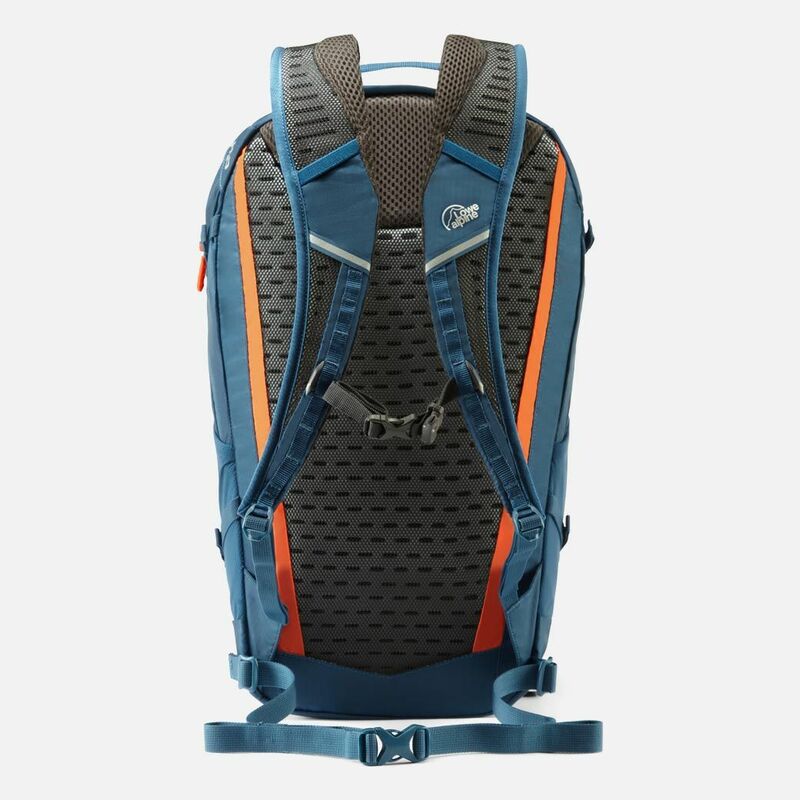 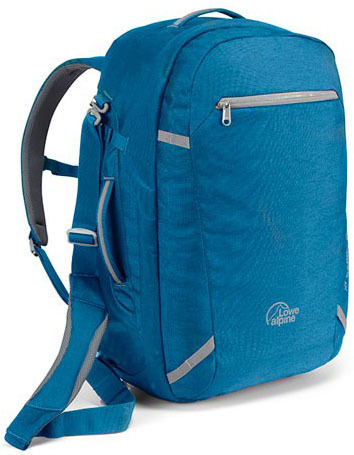 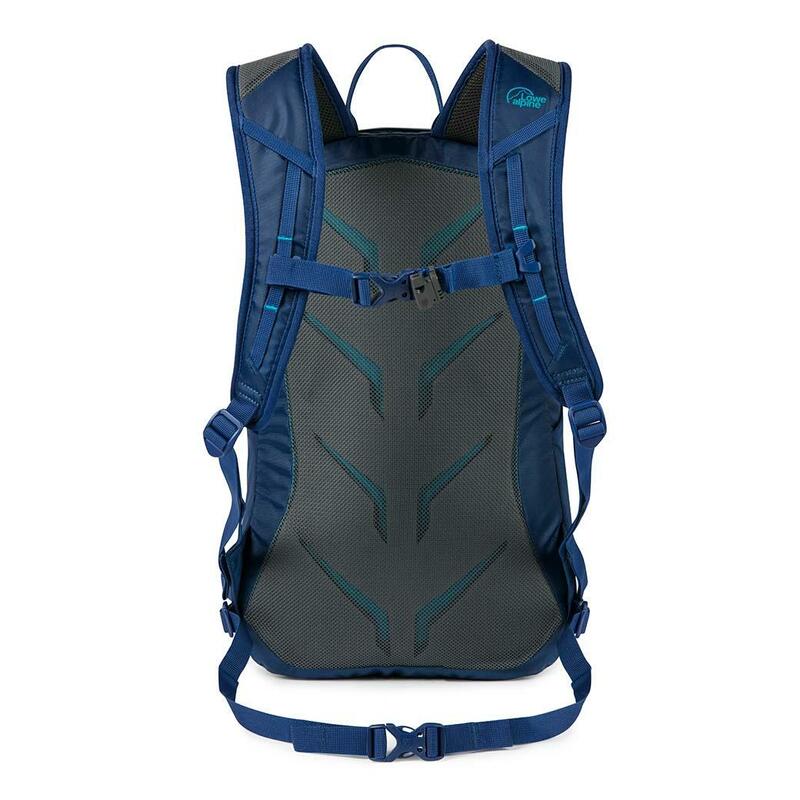 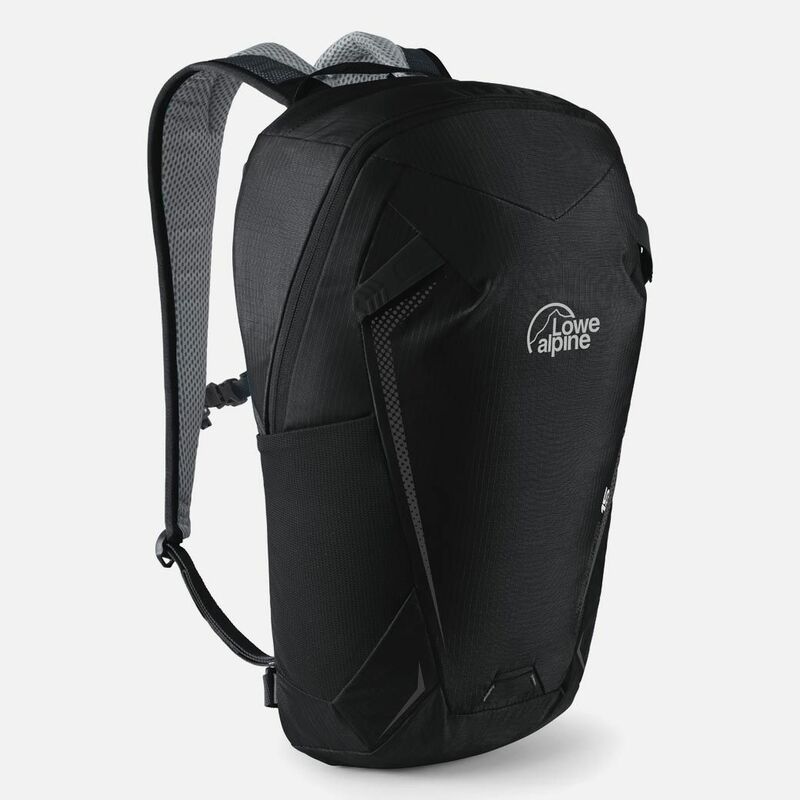 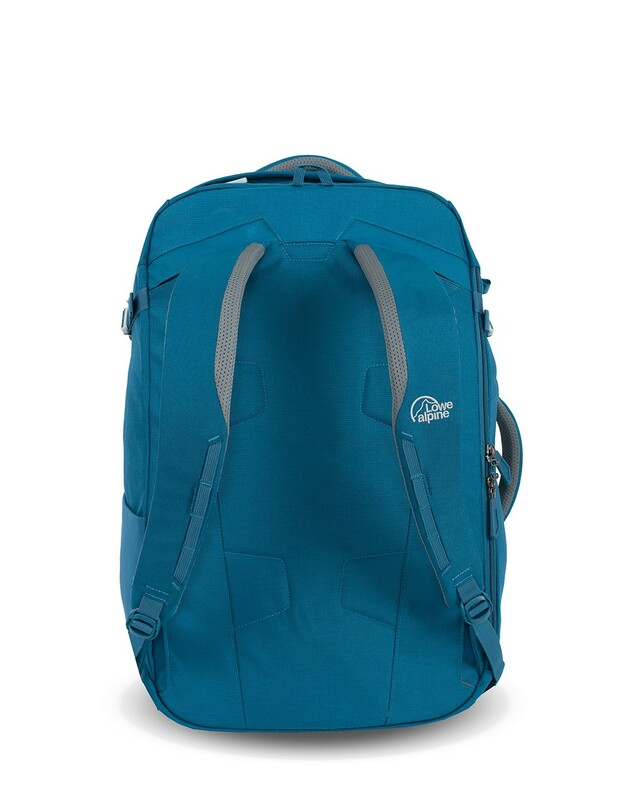 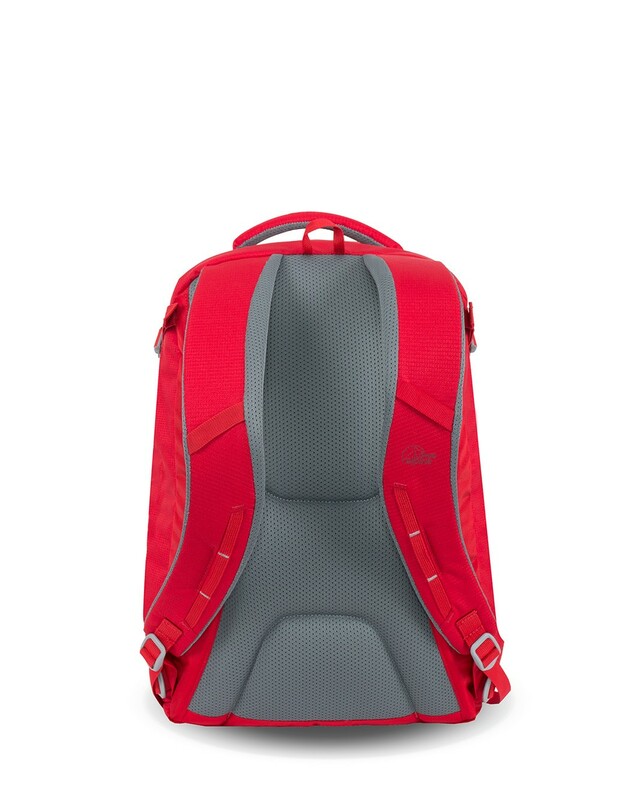 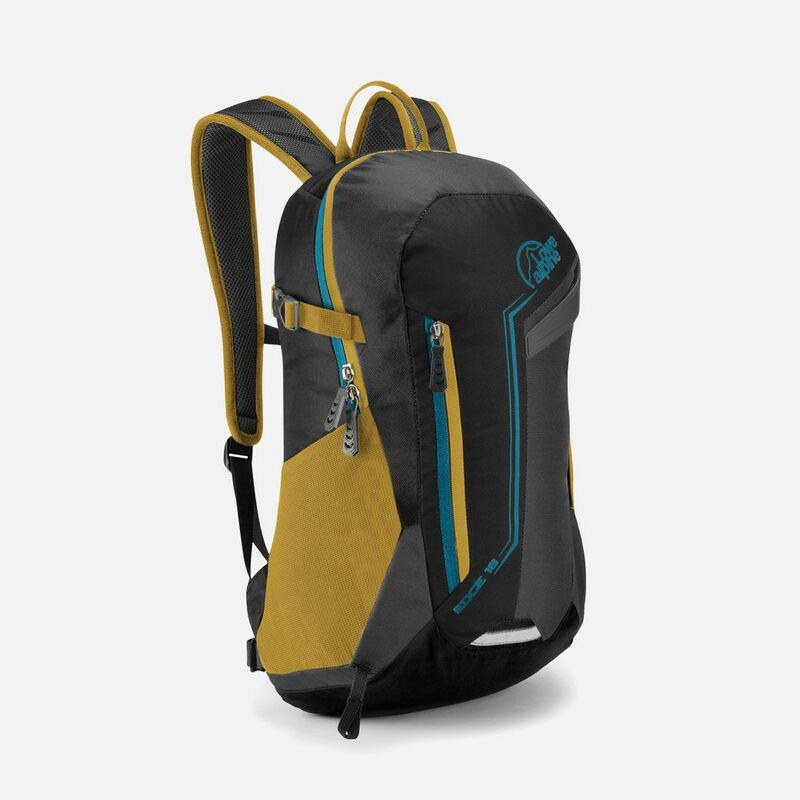 A large zipped front pocket, walking pole TipGrippers and stretch mesh side pockets feature on this great little day pack for hiking the hills or roaming the city.